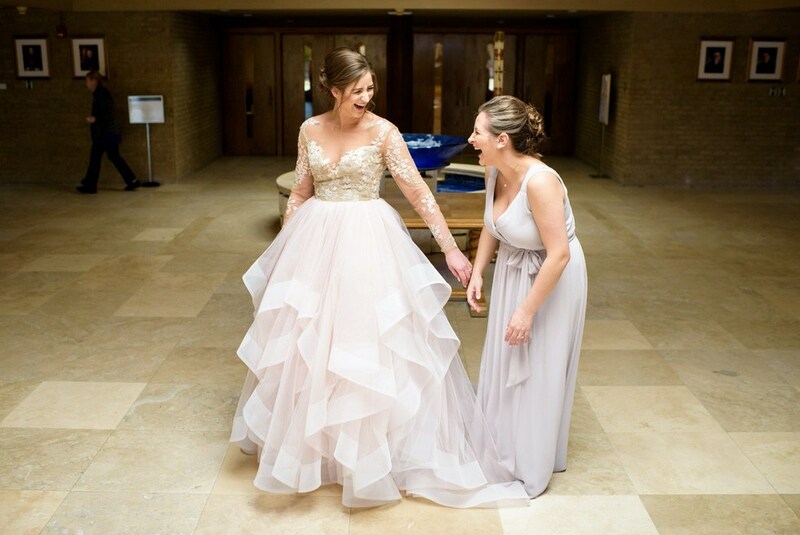 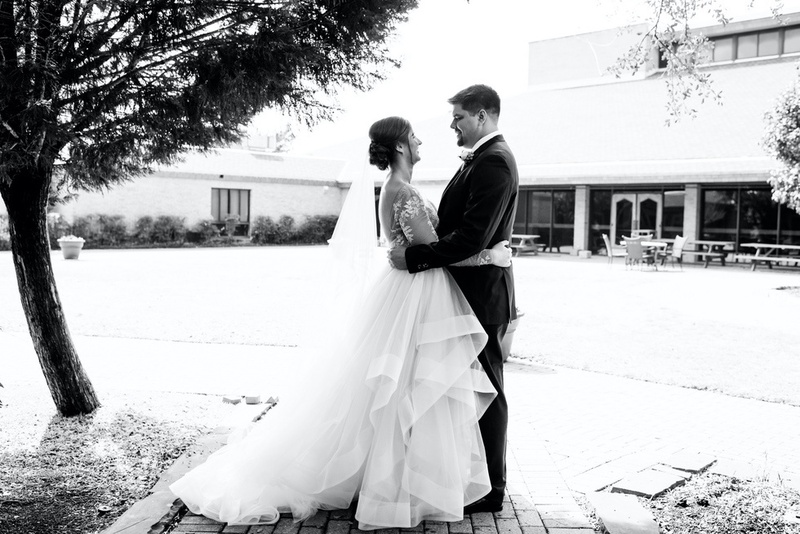 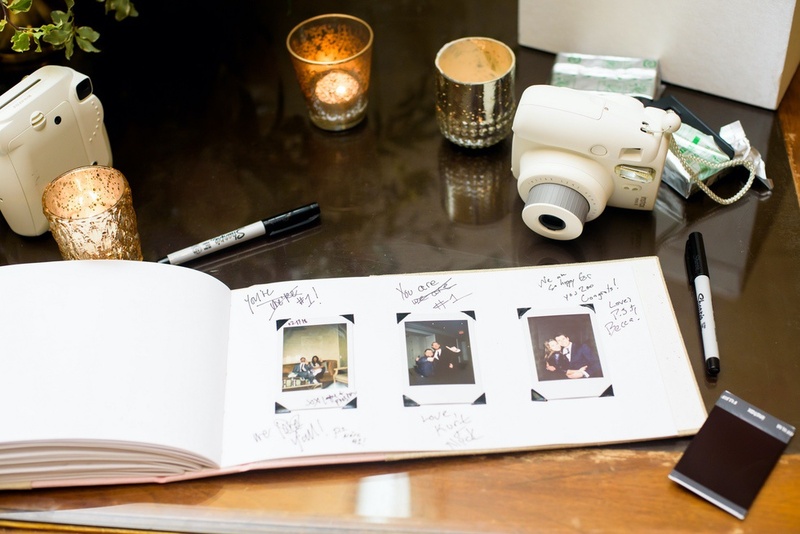 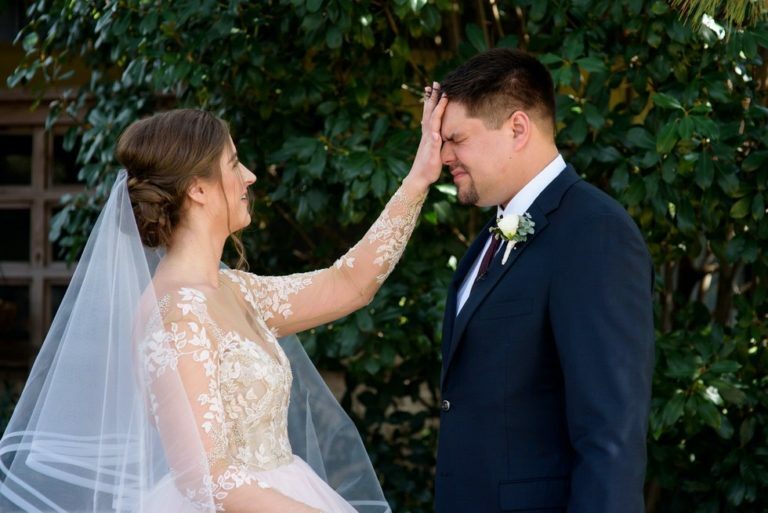 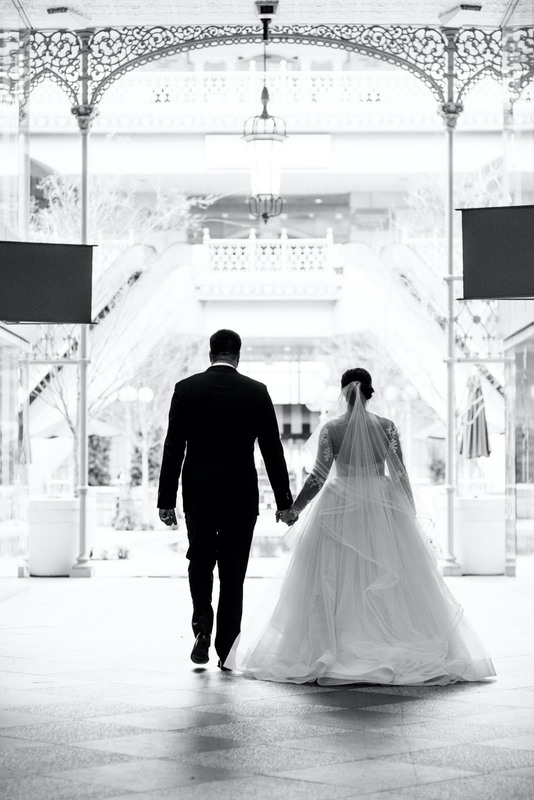 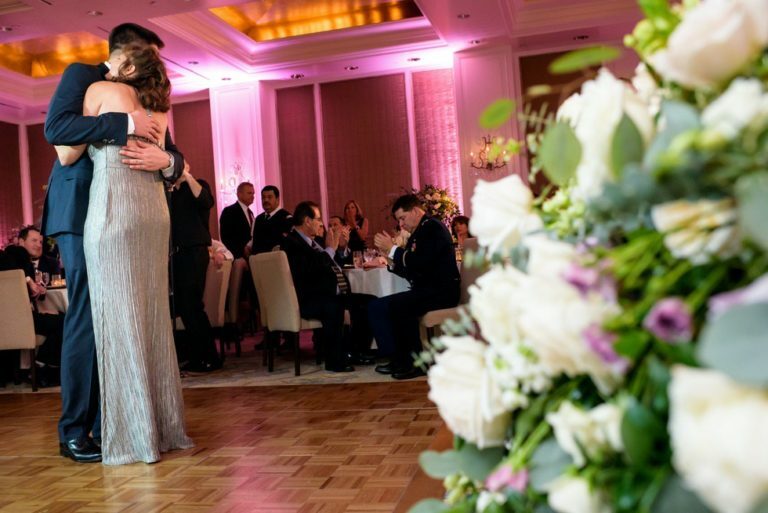 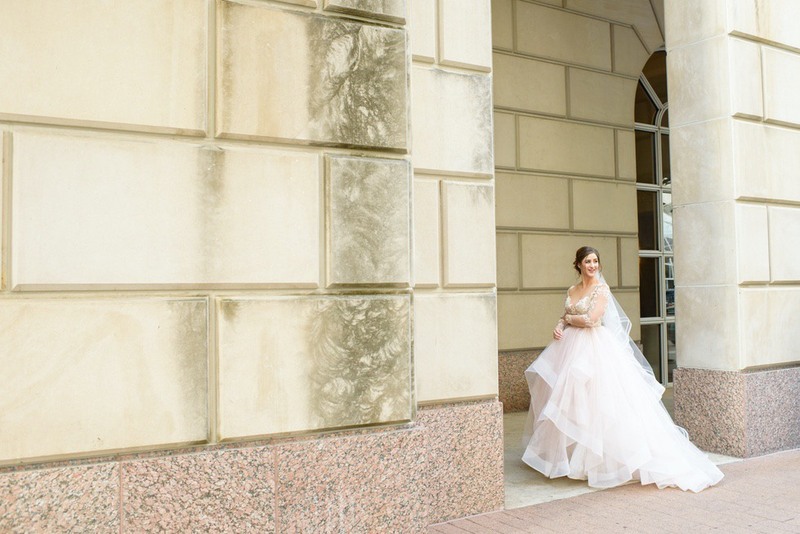 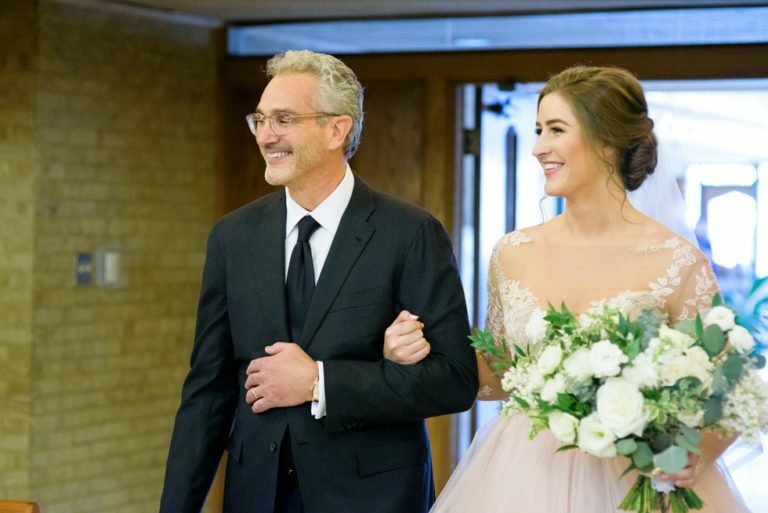 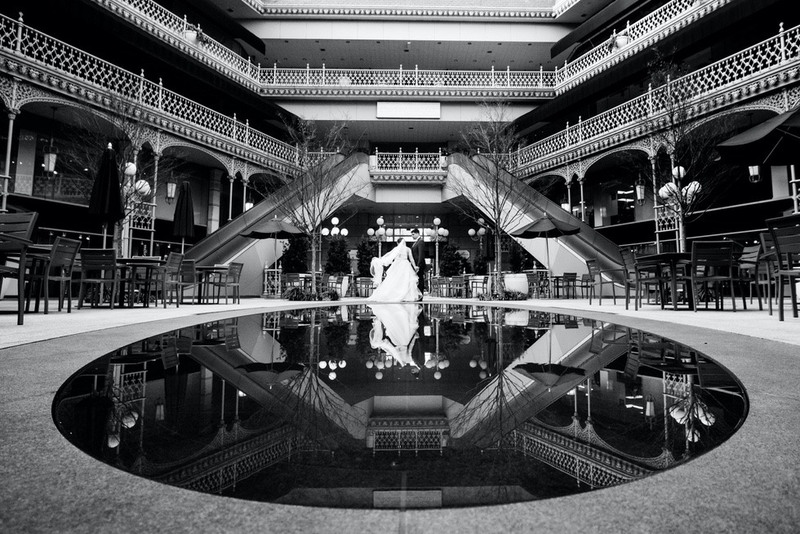 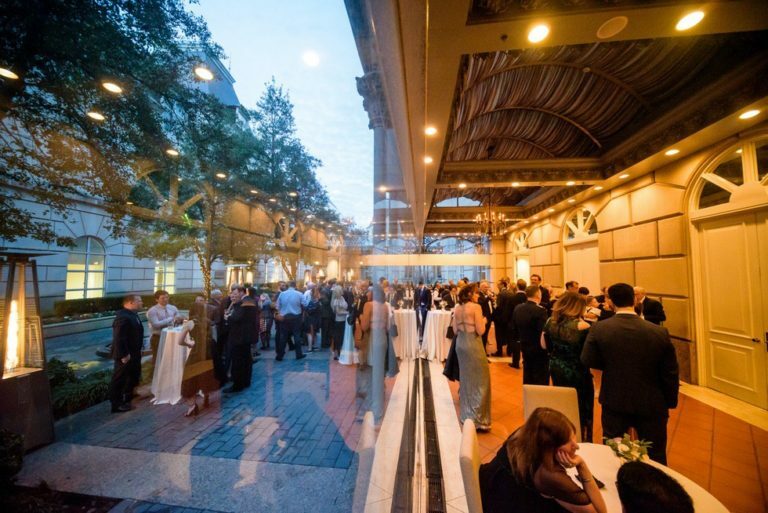 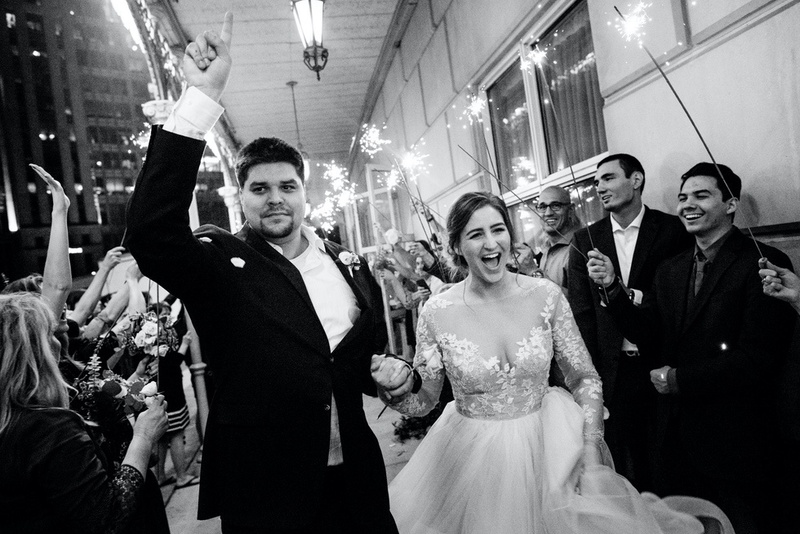 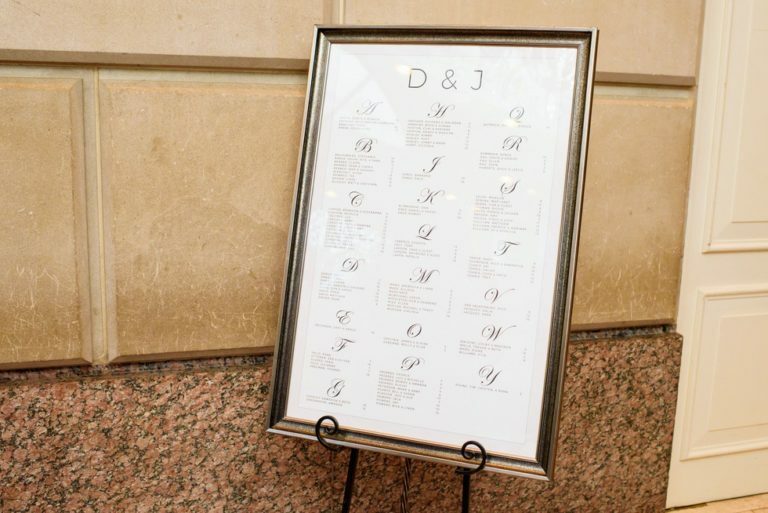 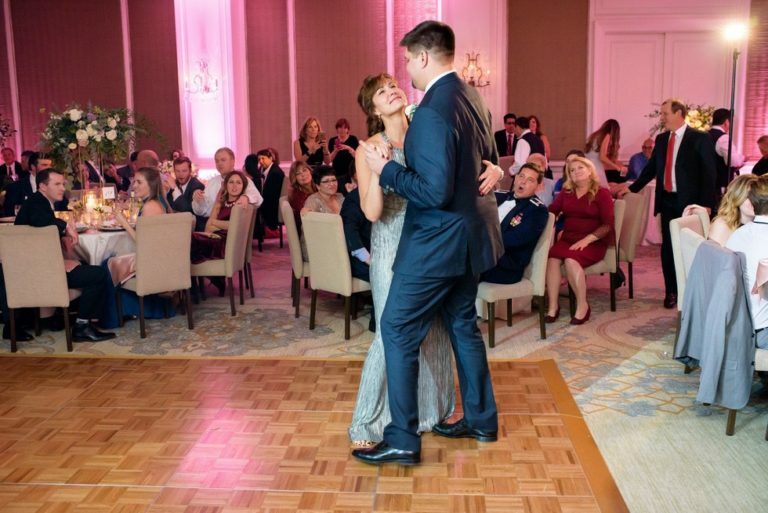 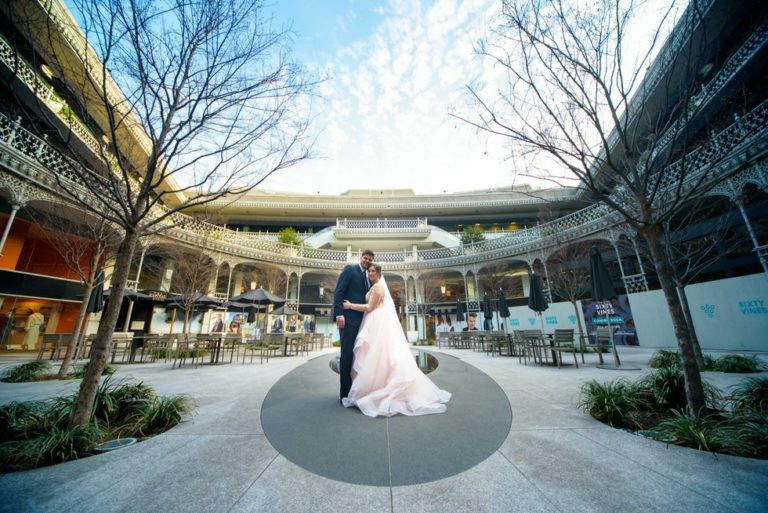 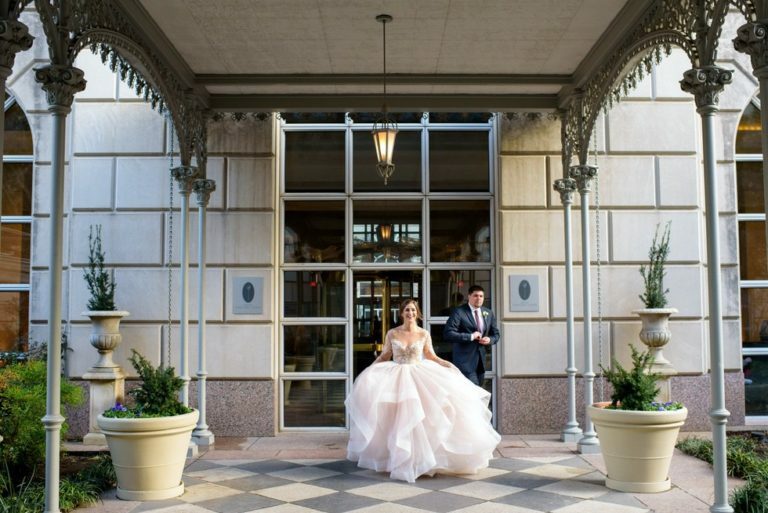 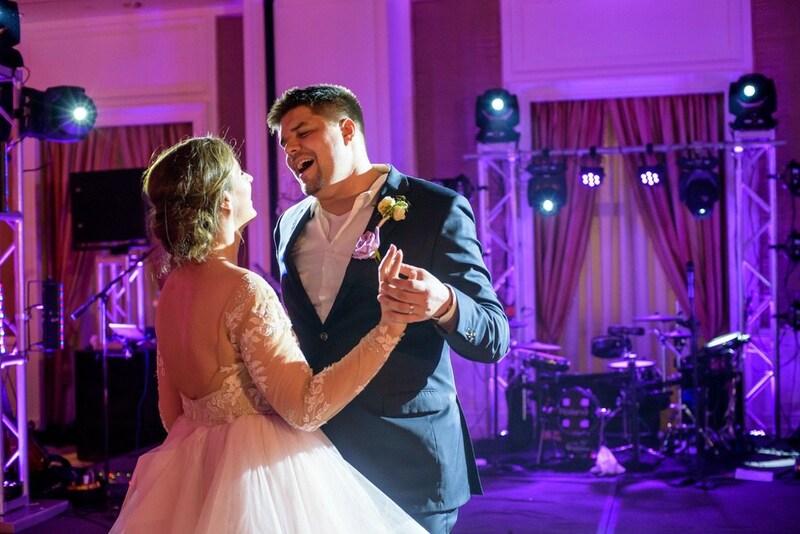 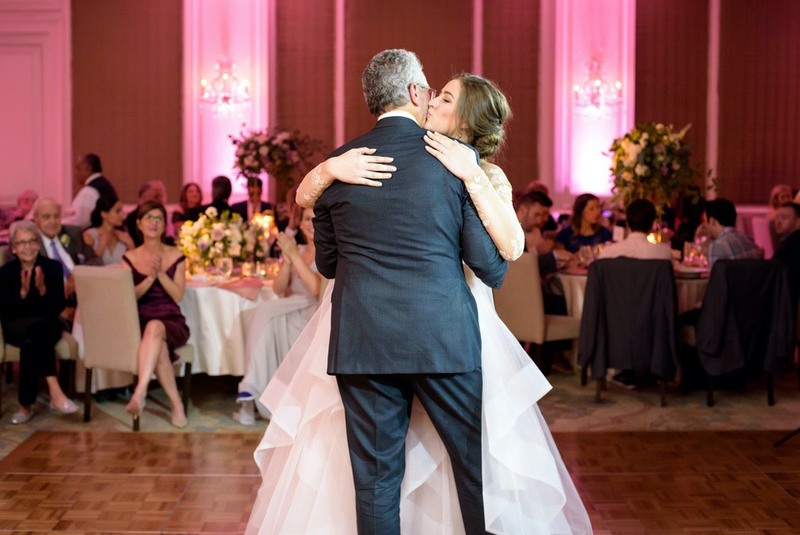 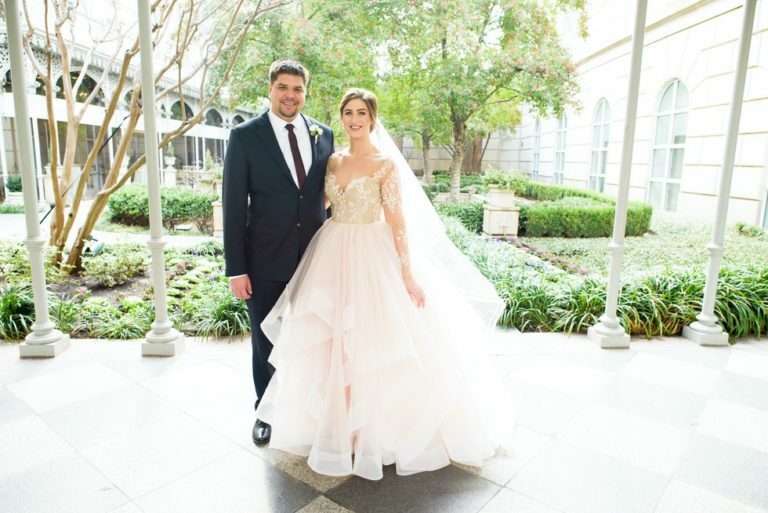 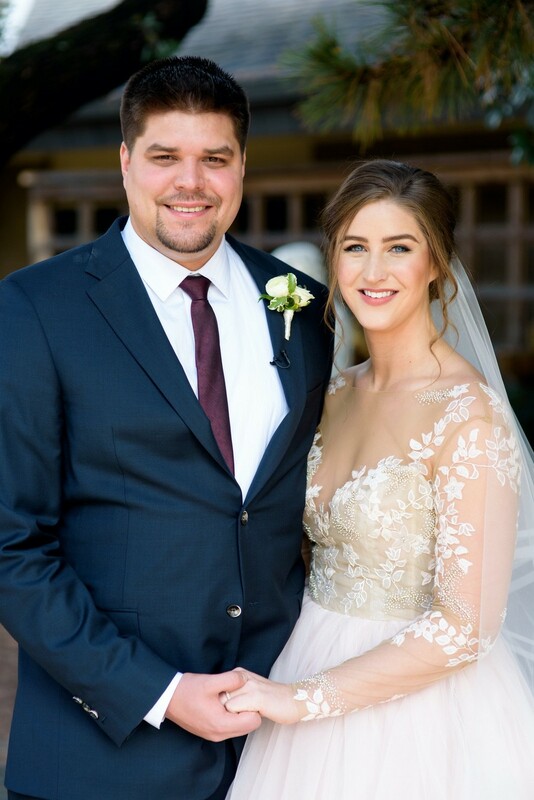 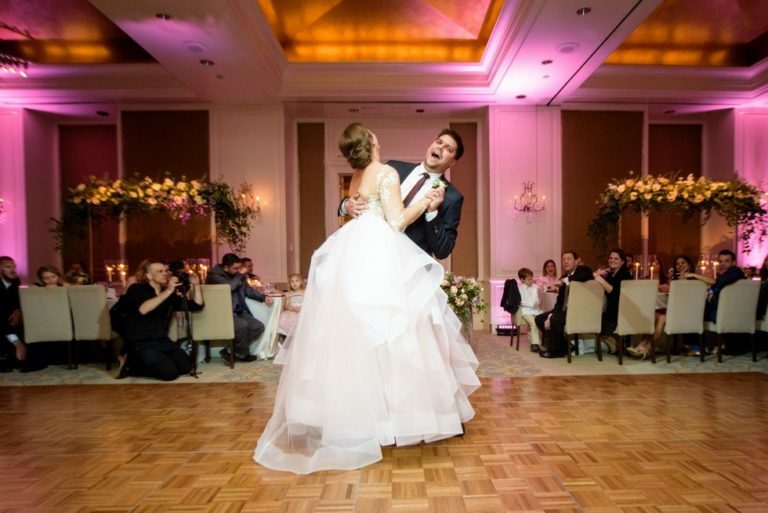 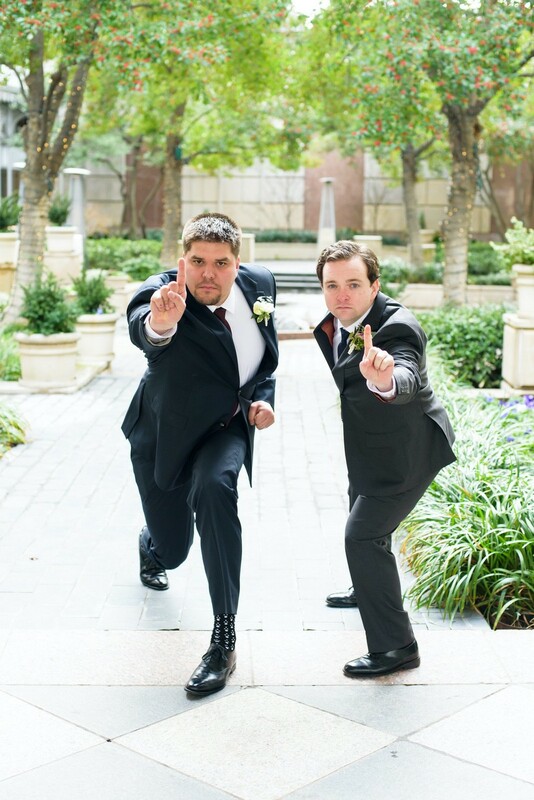 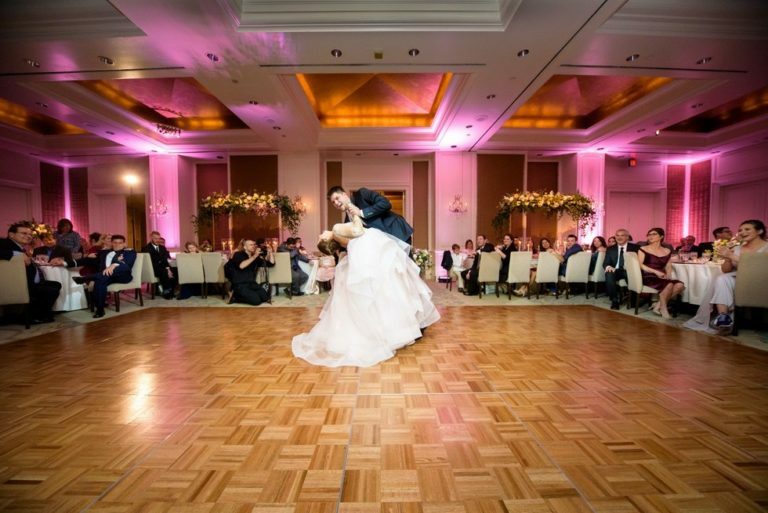 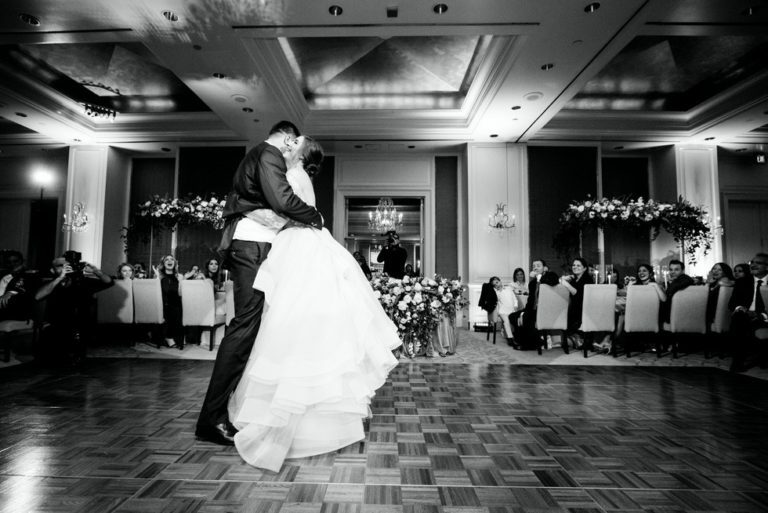 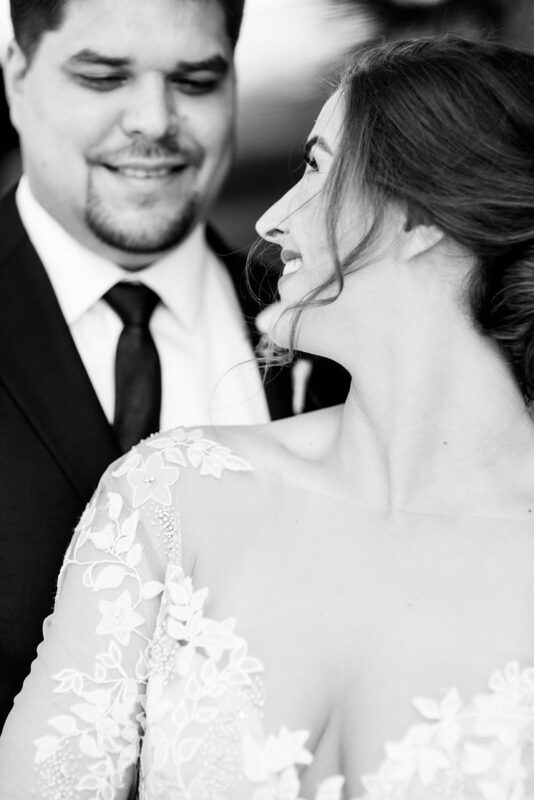 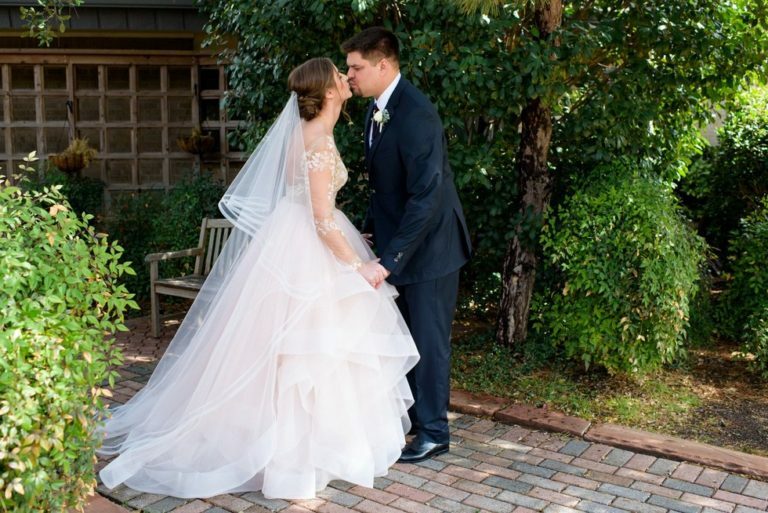 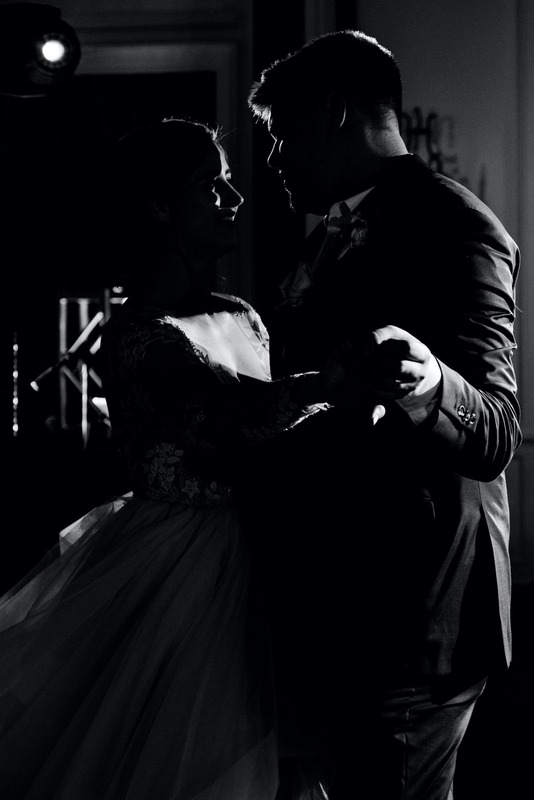 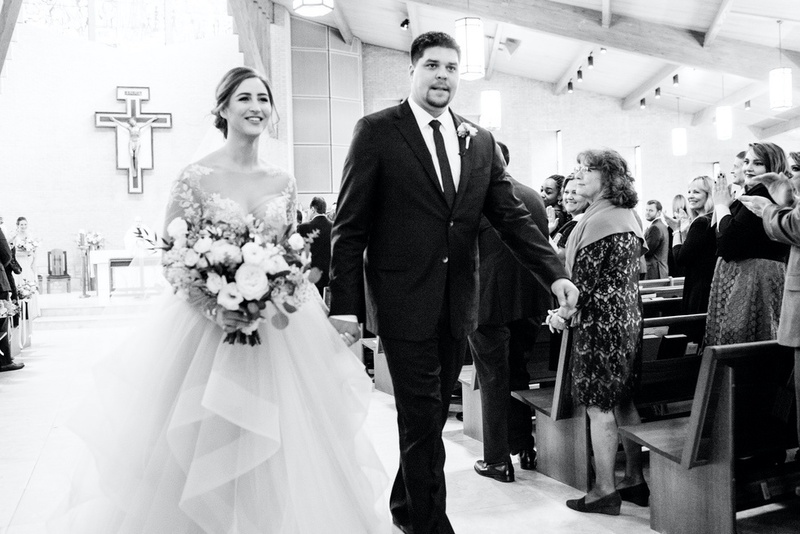 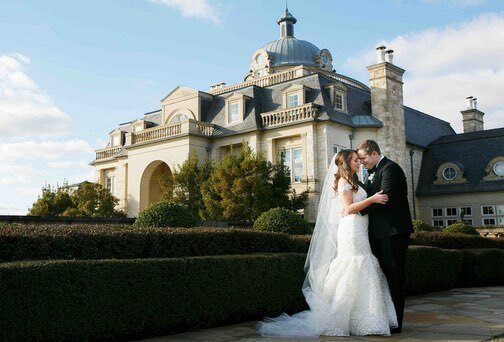 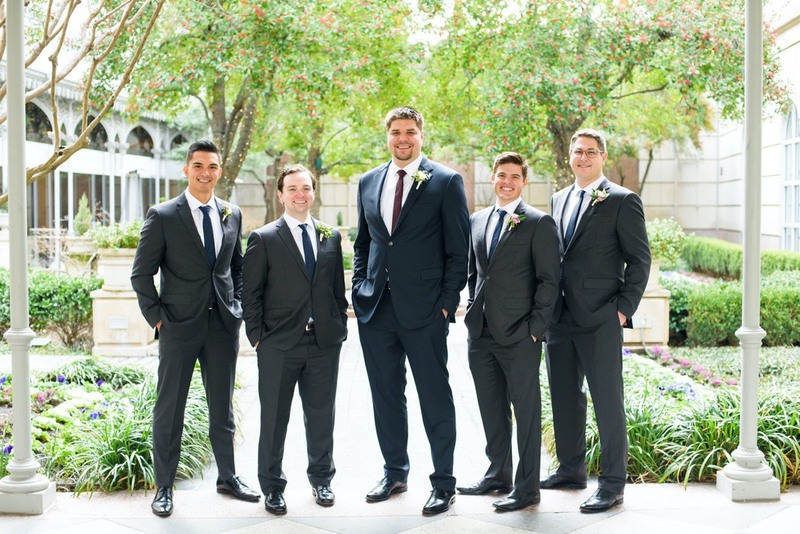 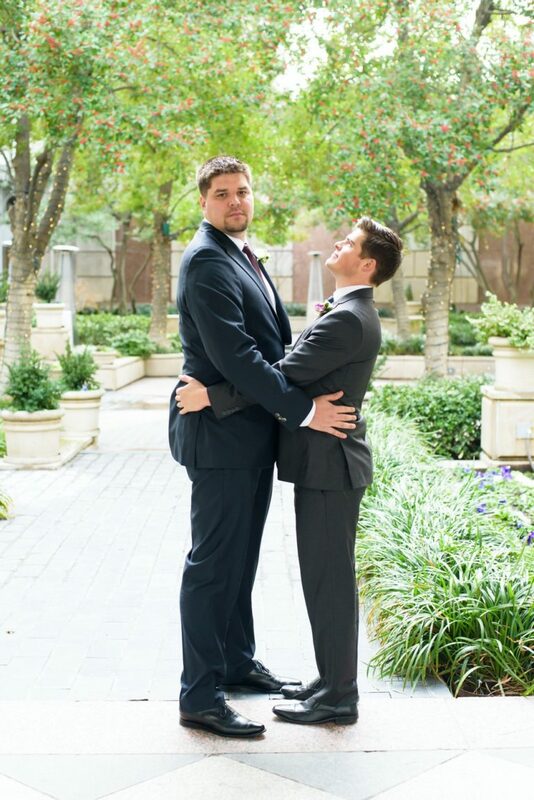 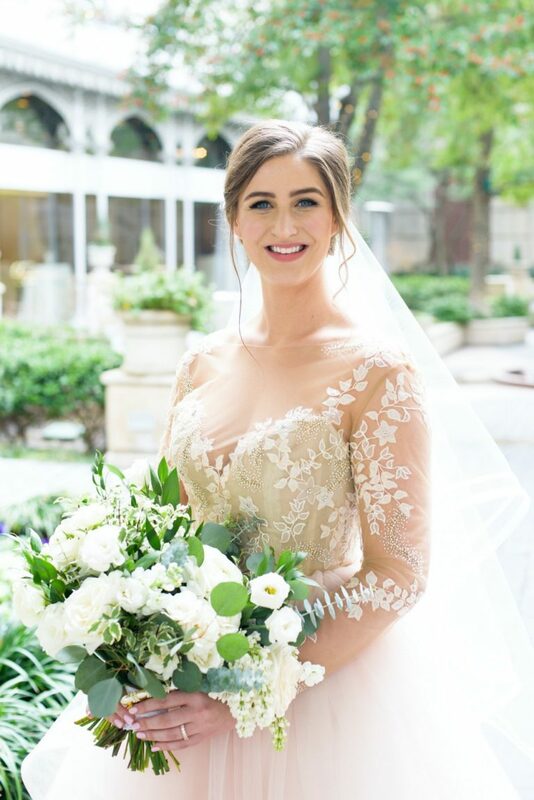 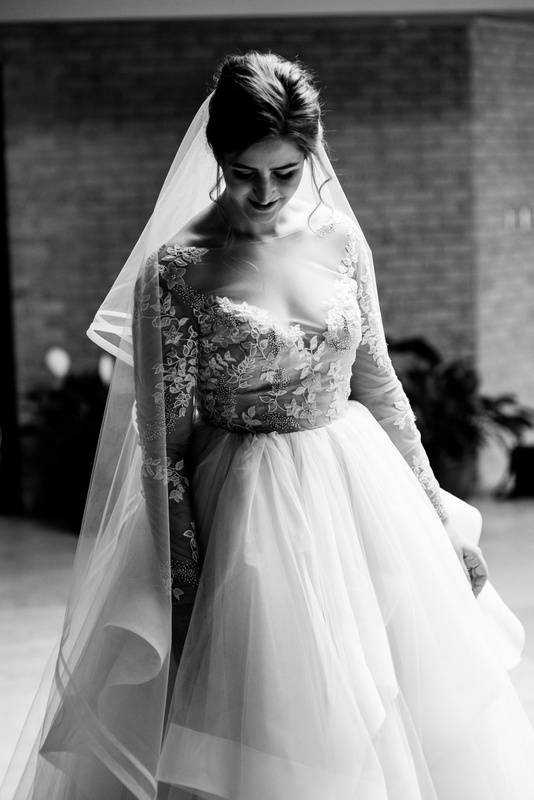 Deirdre and Joe had a gorgeous winter wedding in the heart of Dallas, TX. 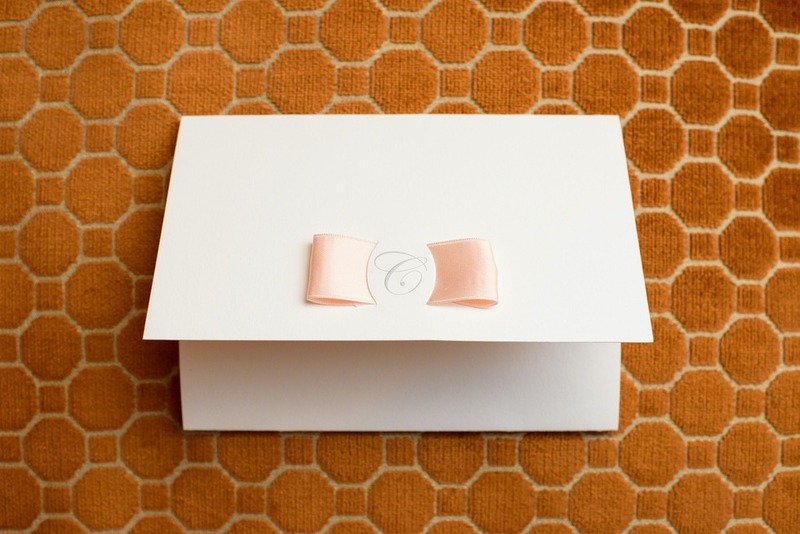 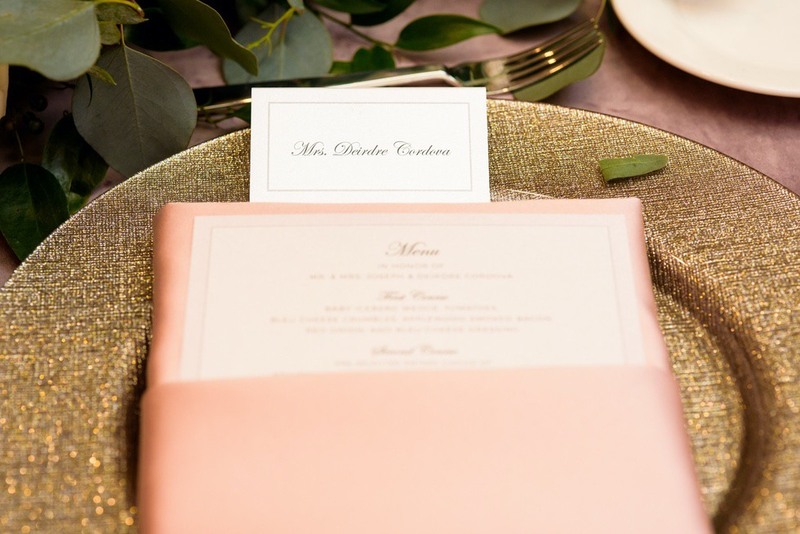 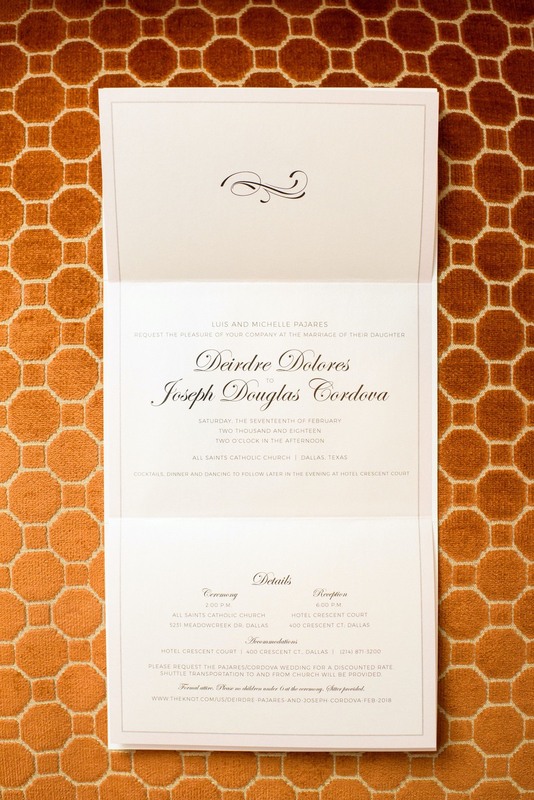 Guests were first notified about the wedding via the beautiful trifold and embossed invitation suite created by Significantly Said: Invitations by Significant Events. 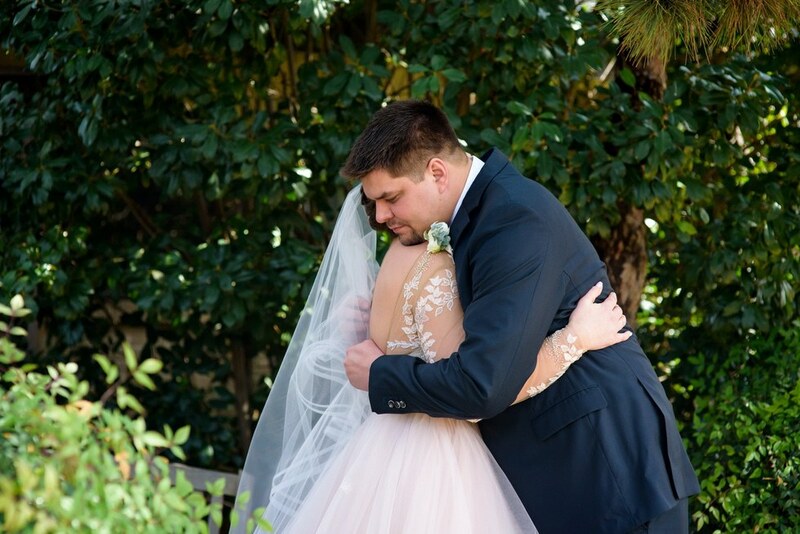 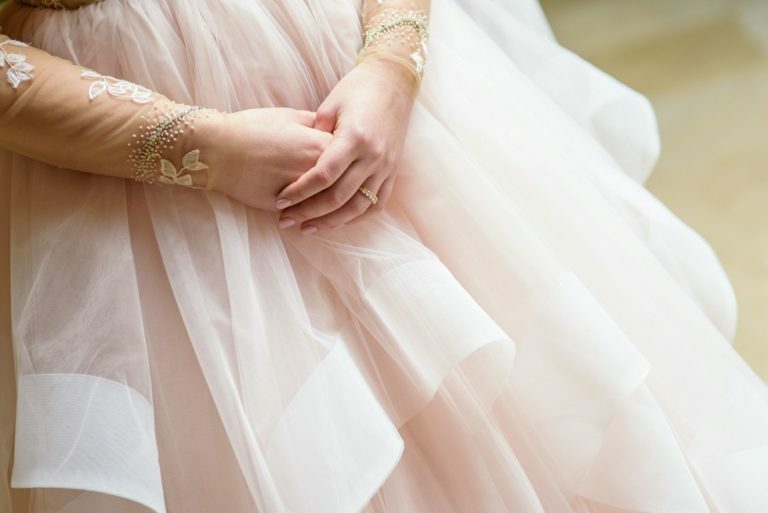 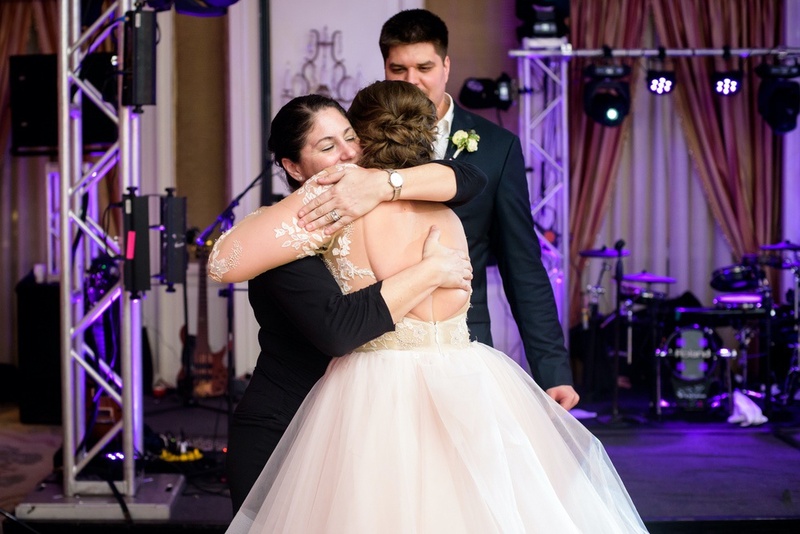 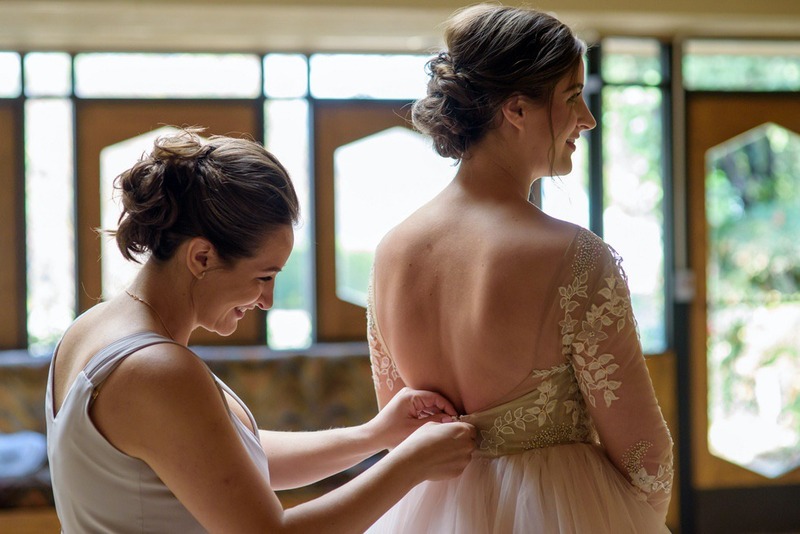 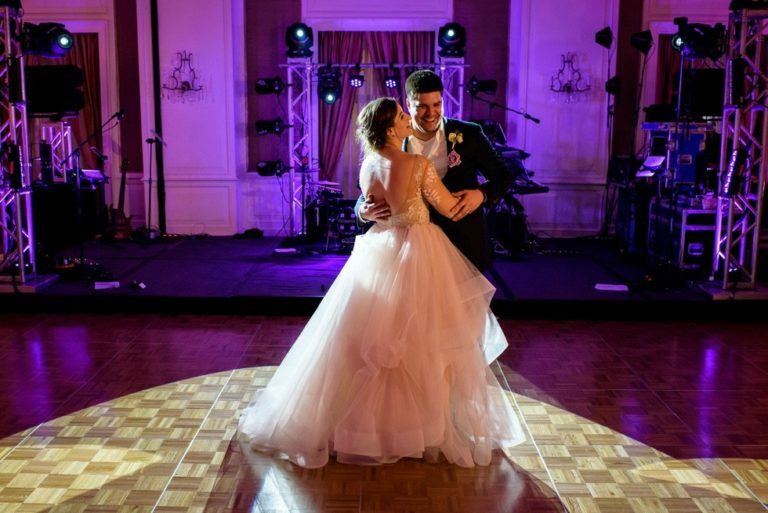 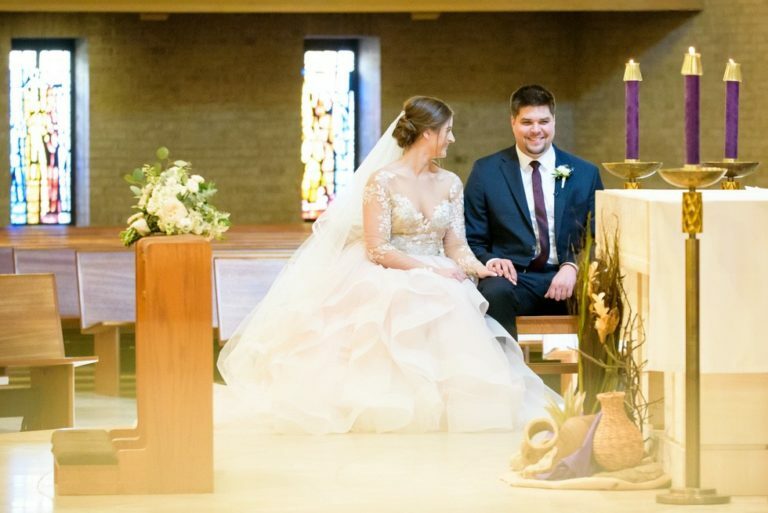 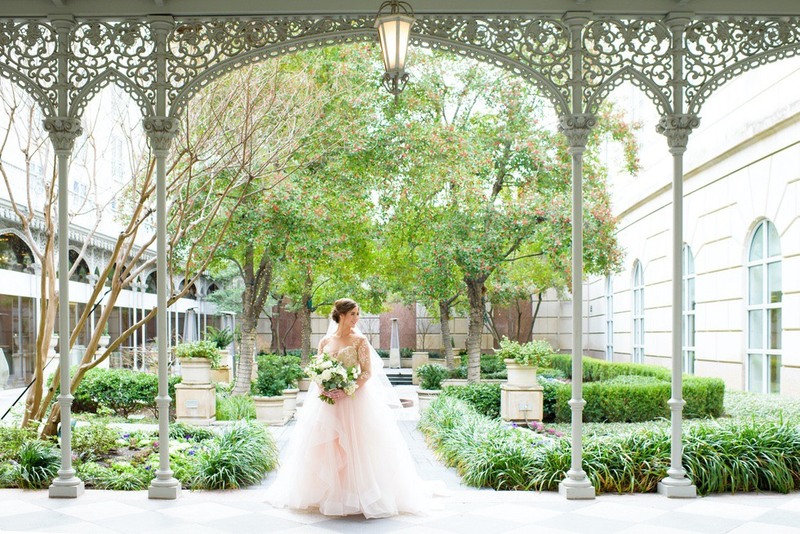 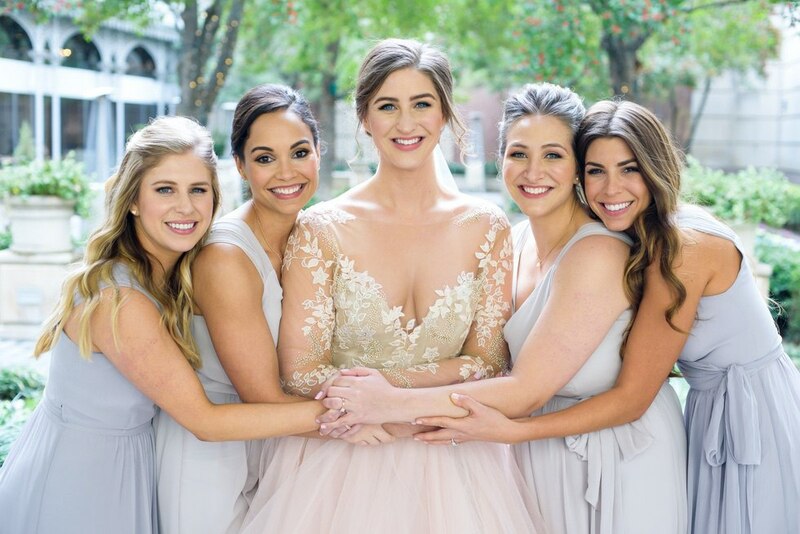 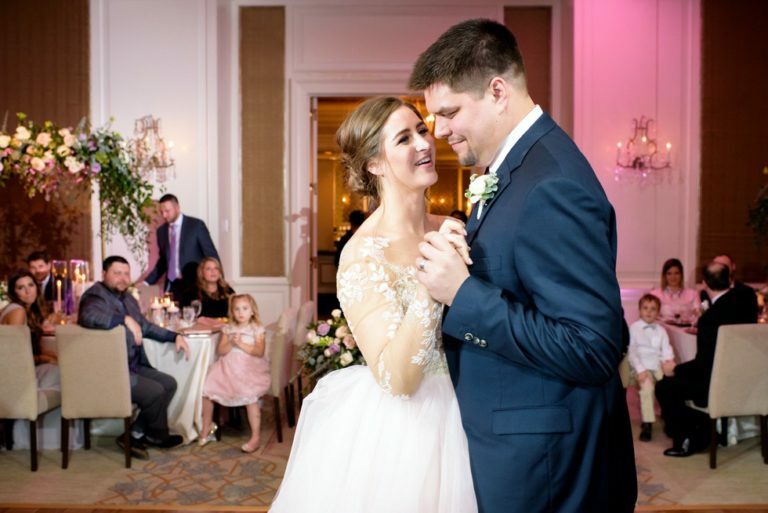 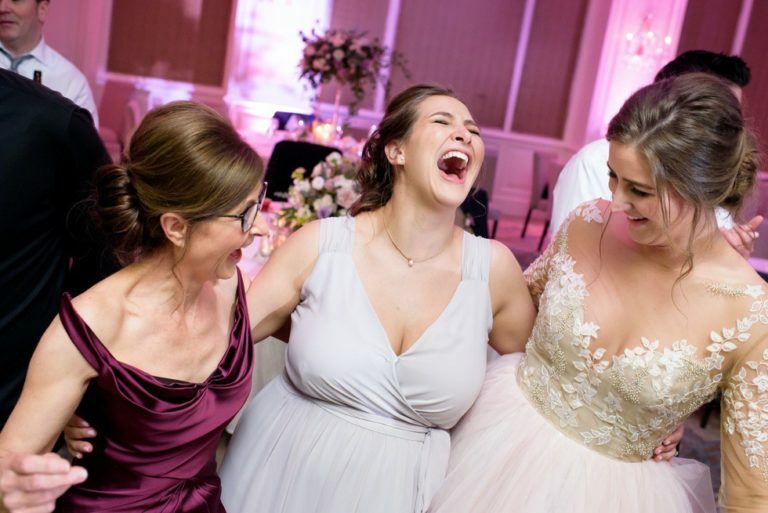 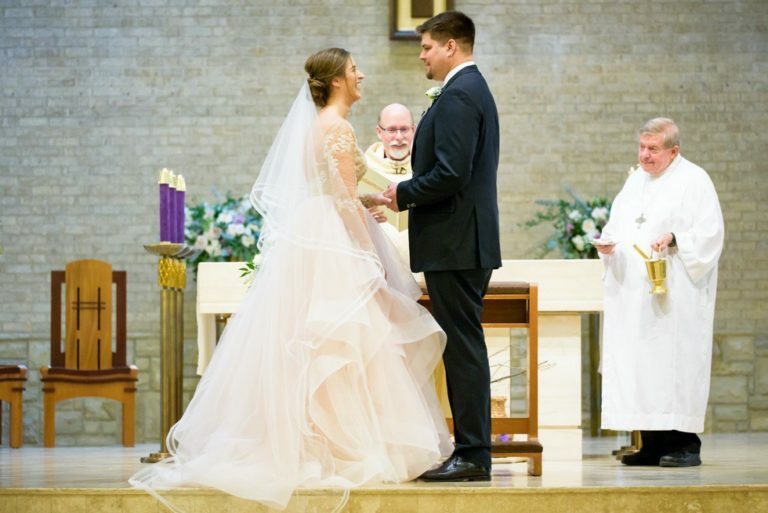 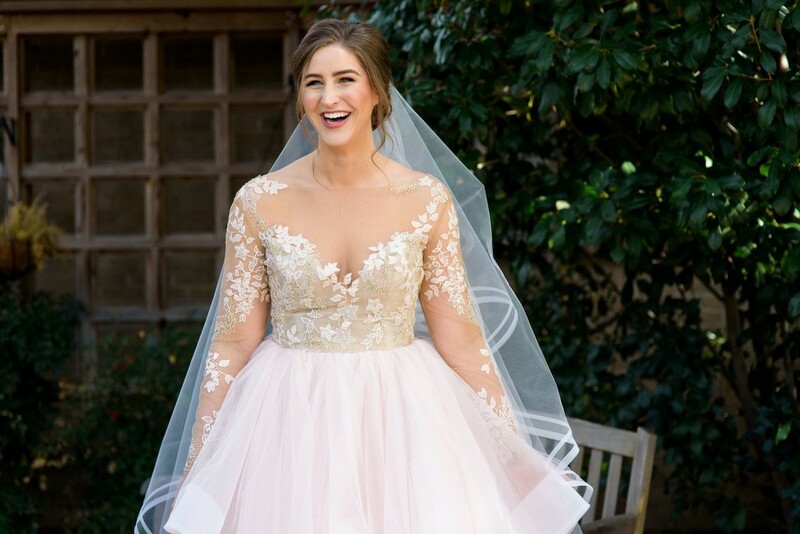 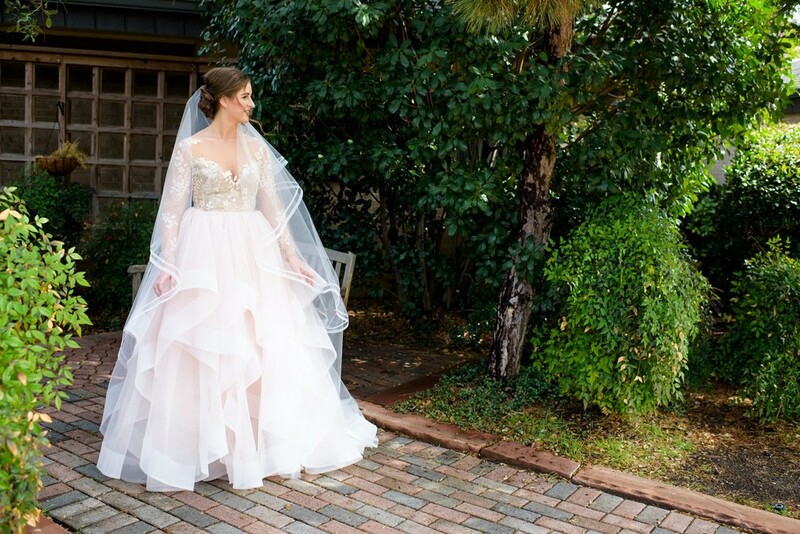 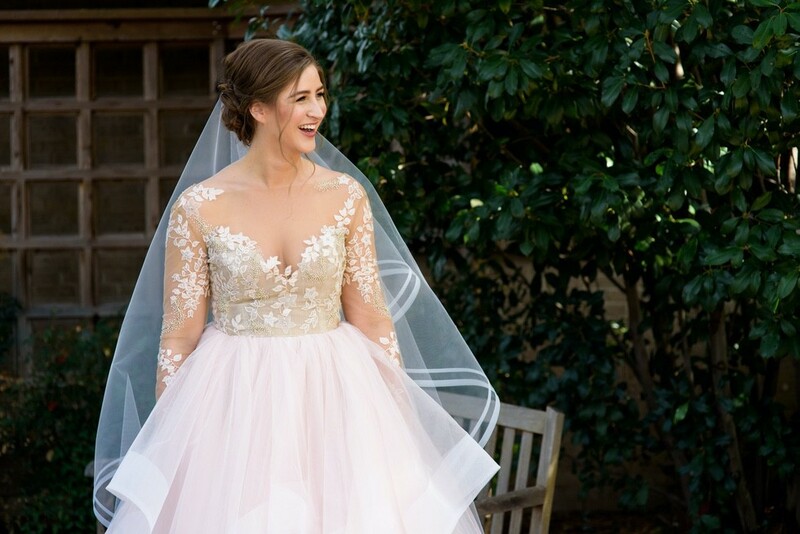 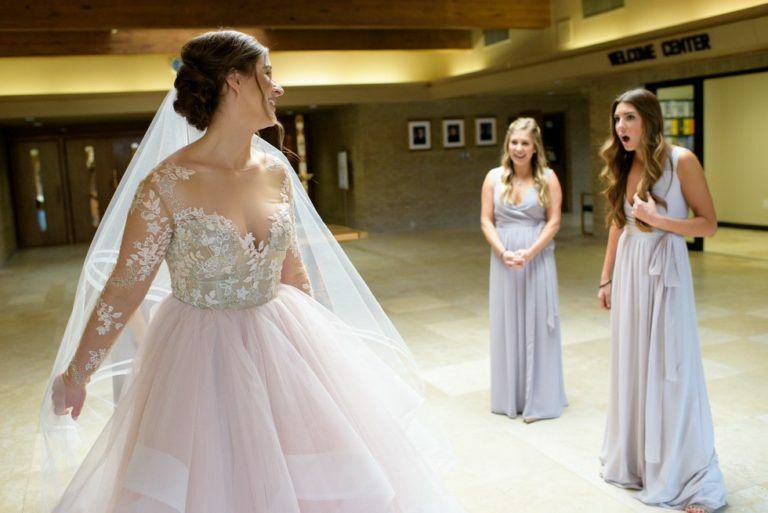 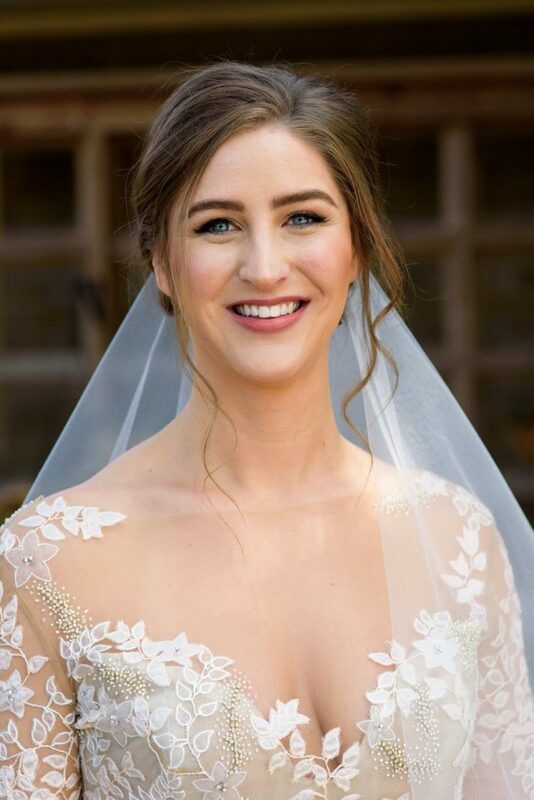 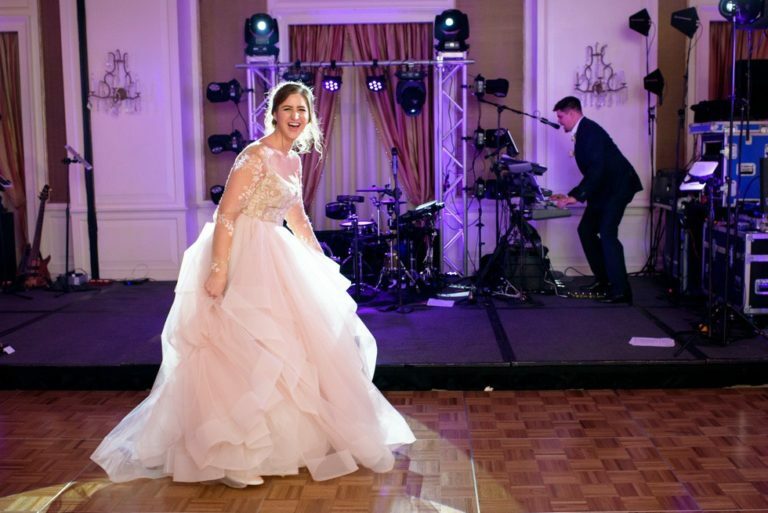 On the wedding day, Deirdre wore an incredible blush toned dress with layers of ruffles and a lace top that was simply stunning. 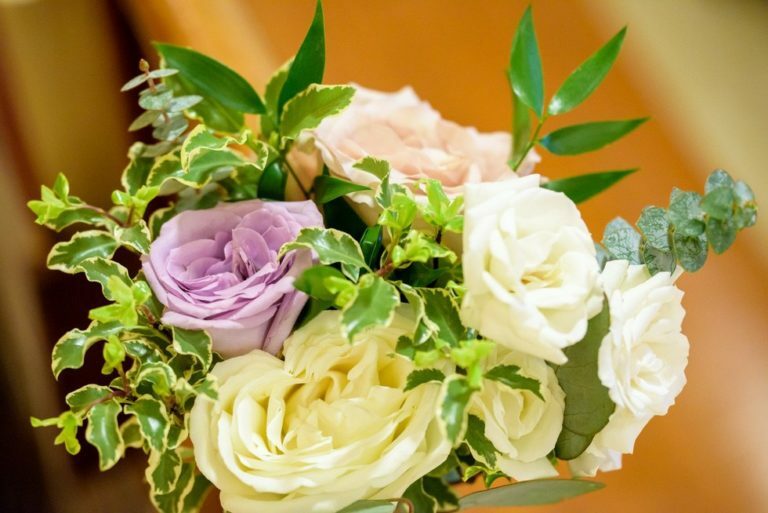 She carried a bouquet of beautiful ivory and green blooms. 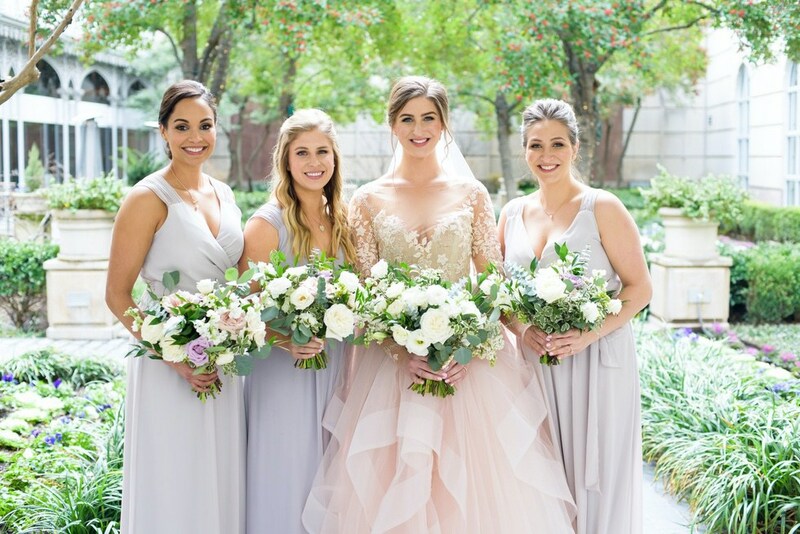 Bridesmaids wore pale grey and carried a similar floral palette with a touch of lavender. 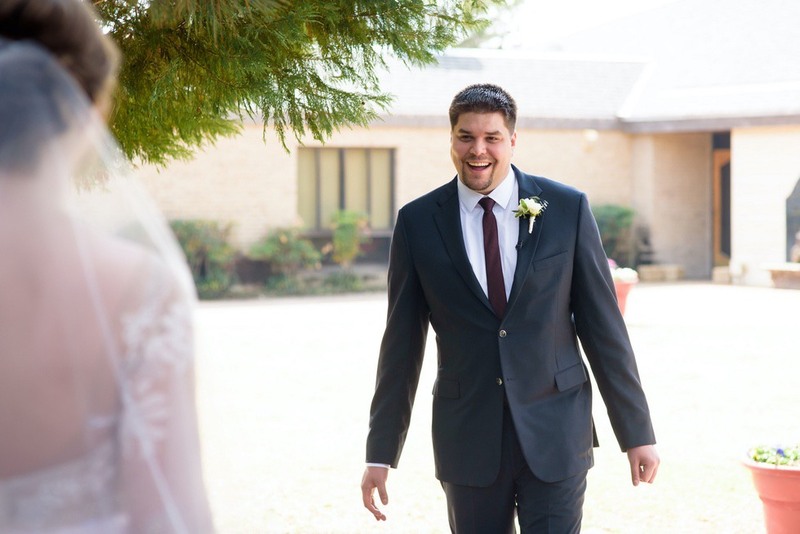 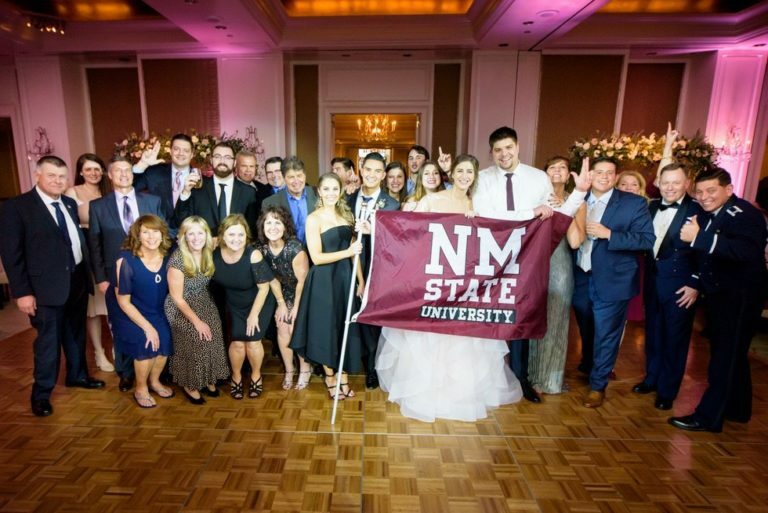 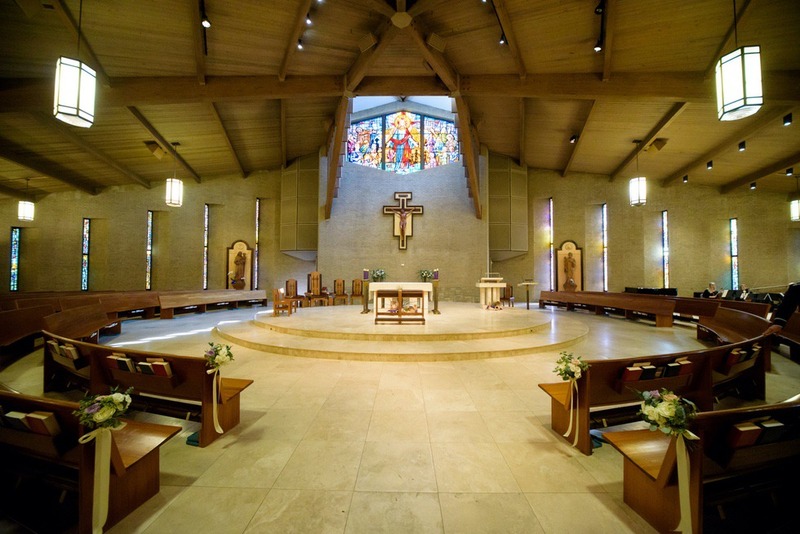 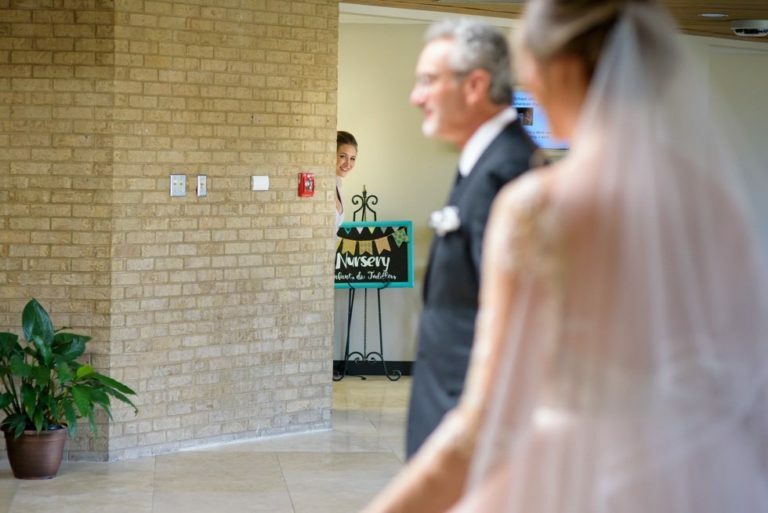 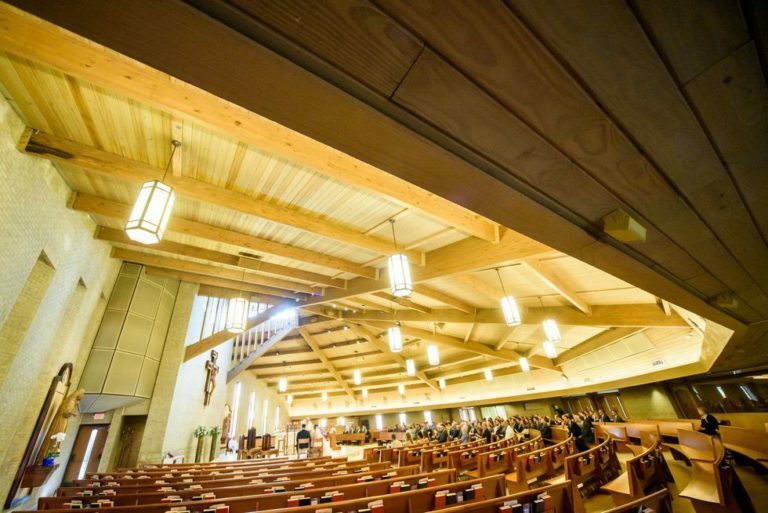 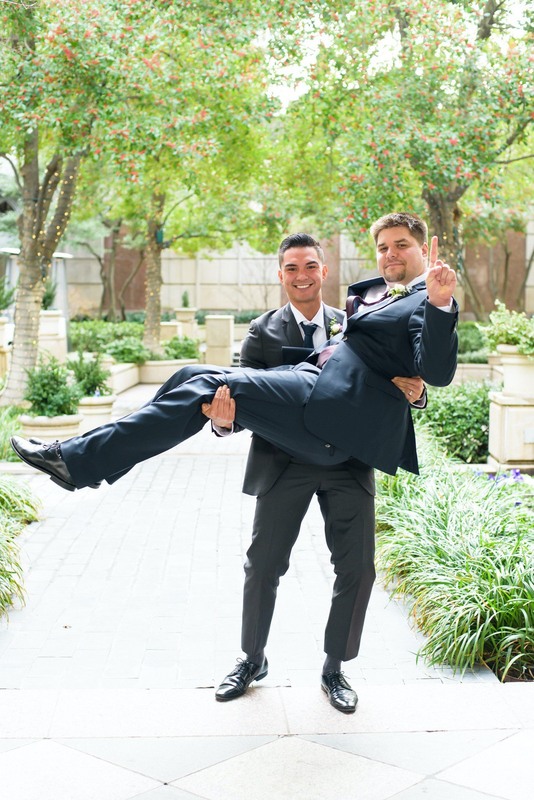 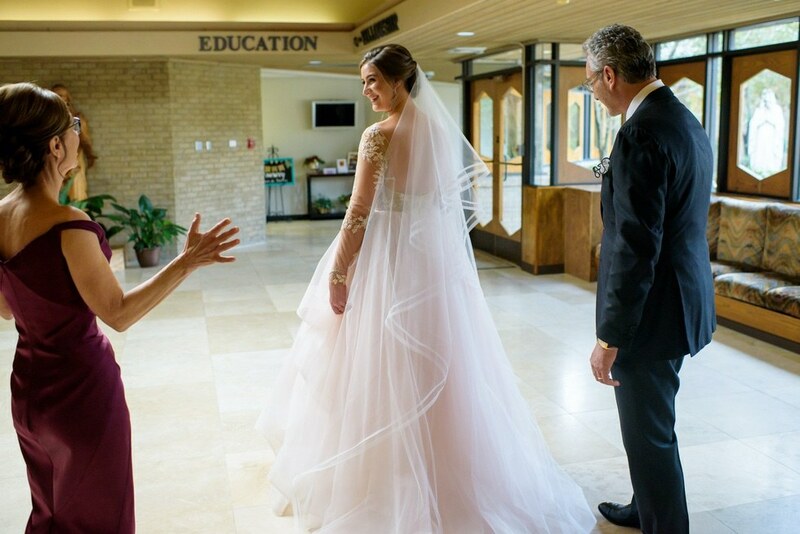 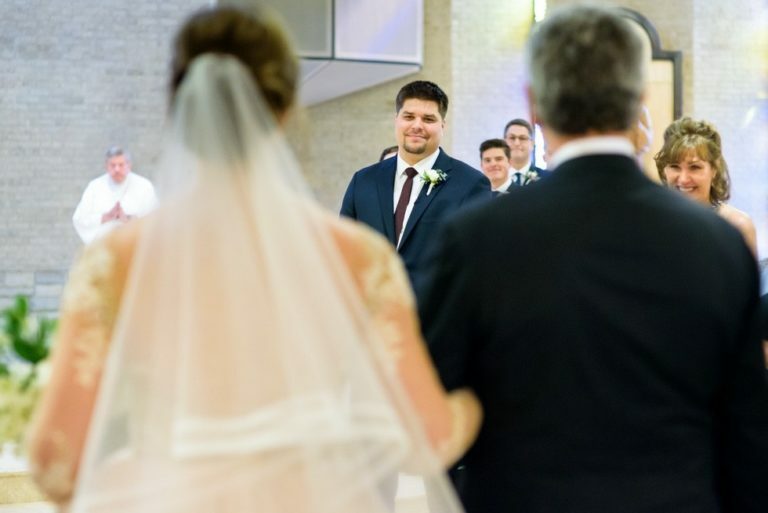 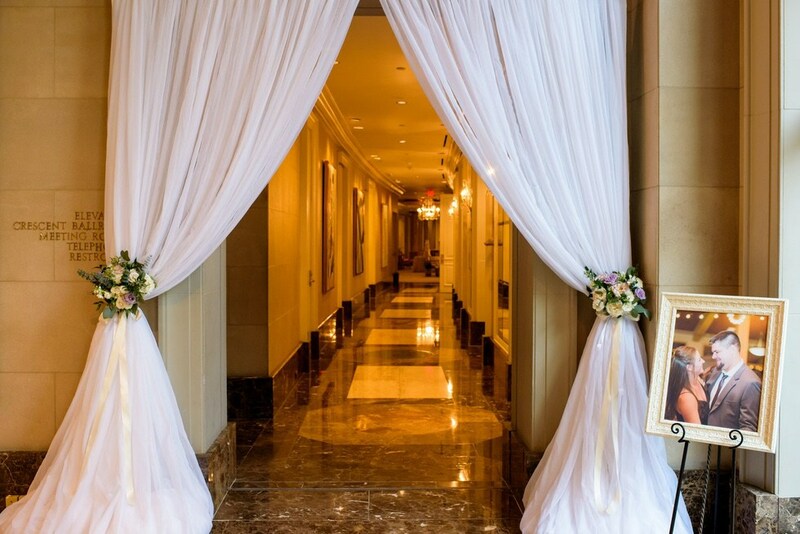 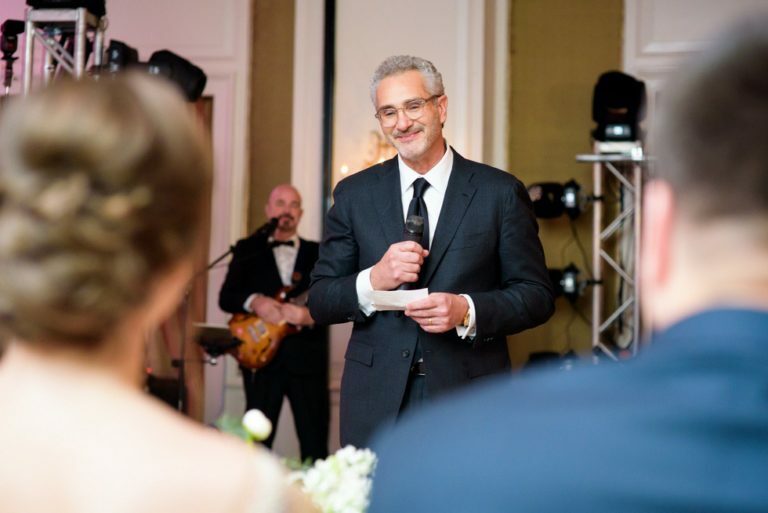 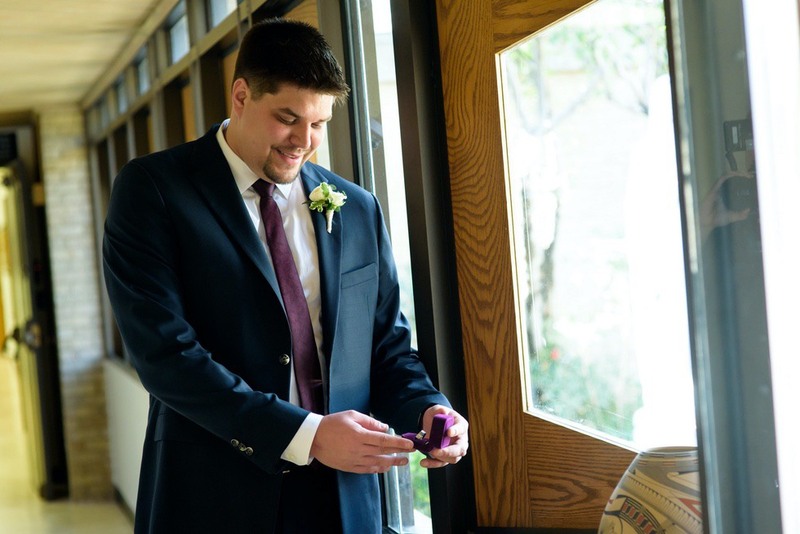 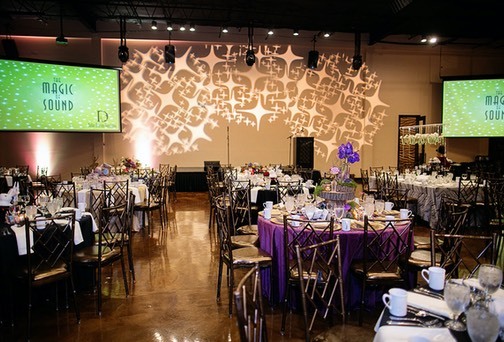 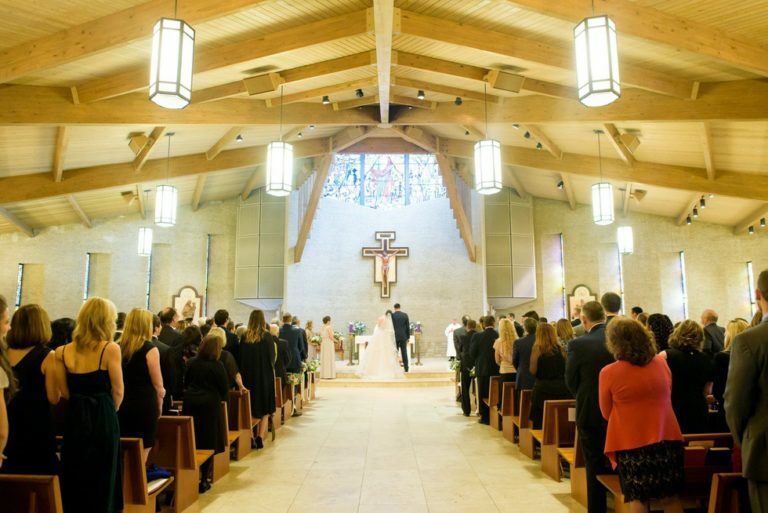 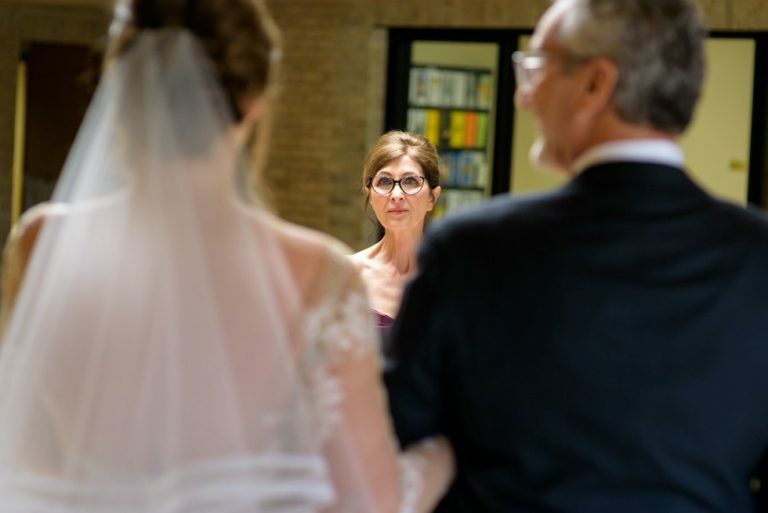 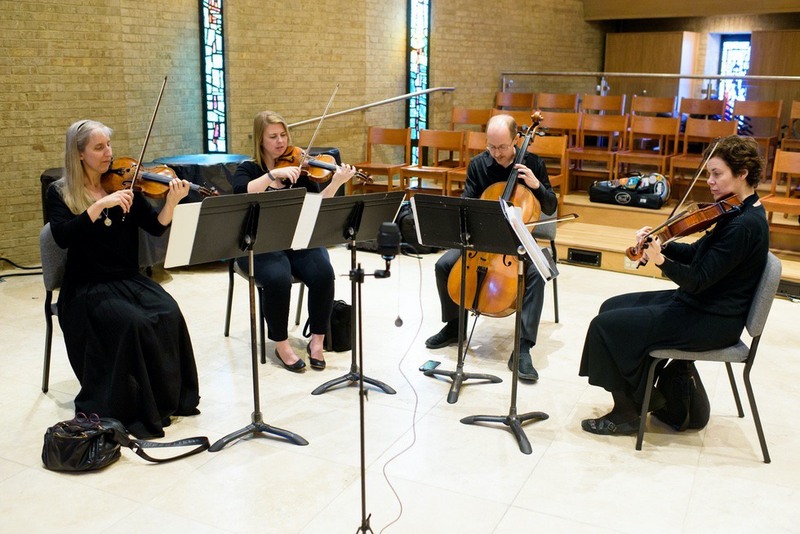 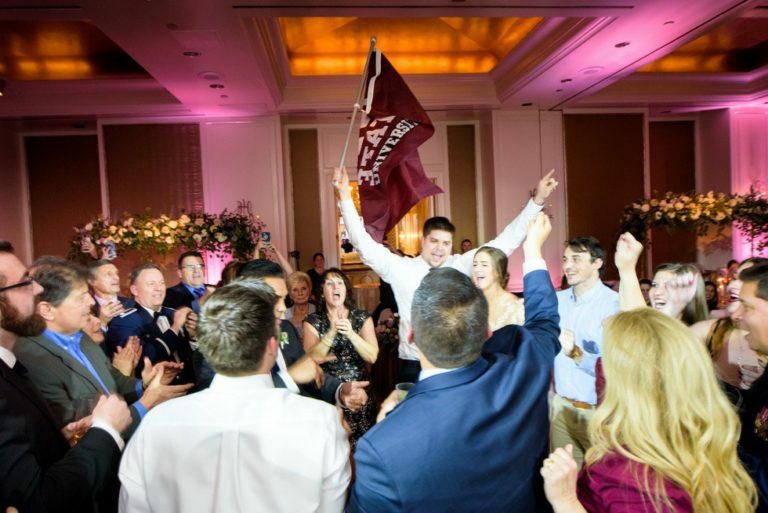 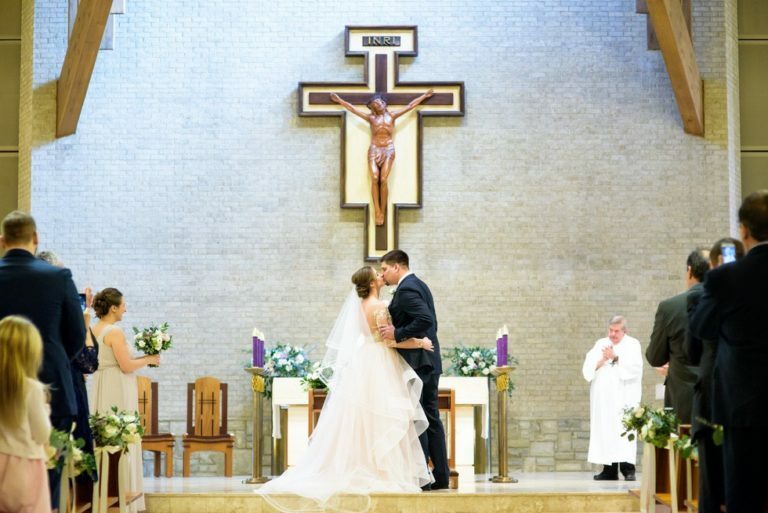 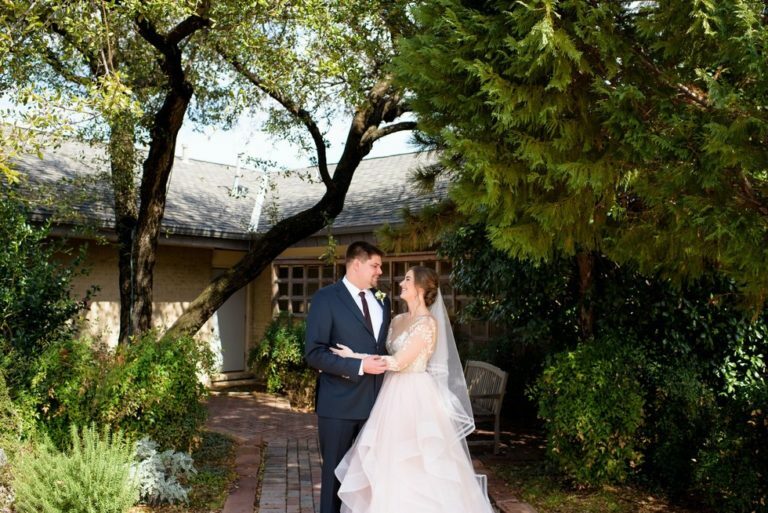 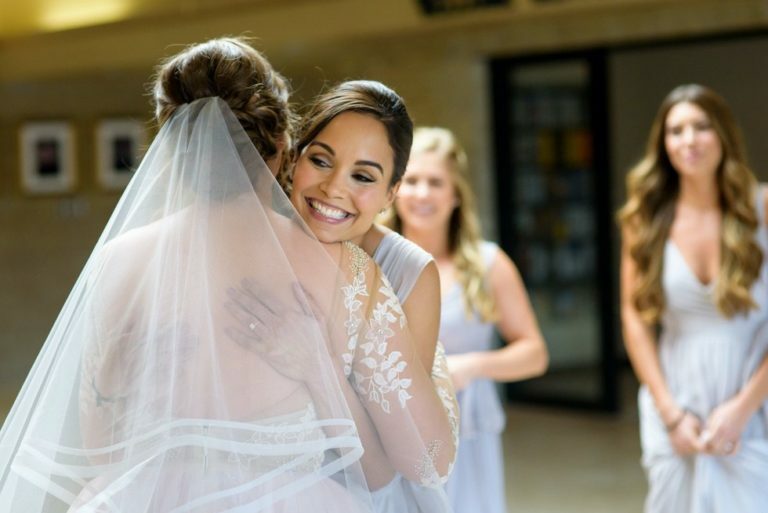 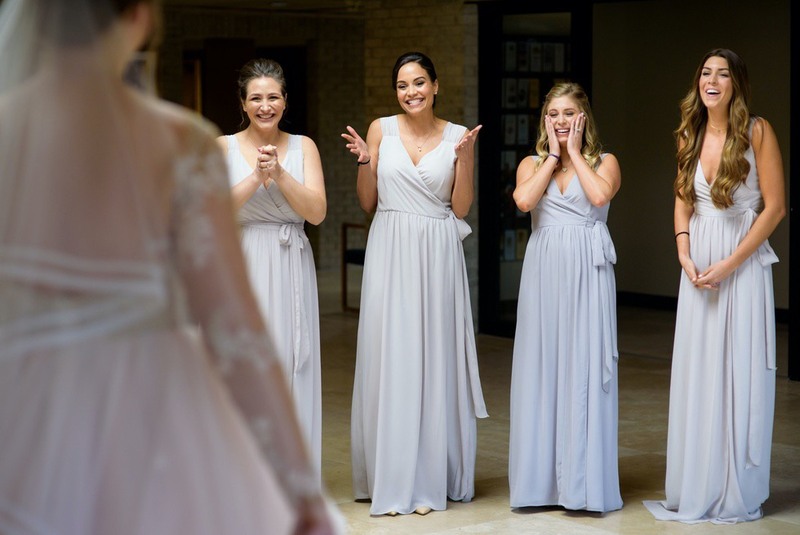 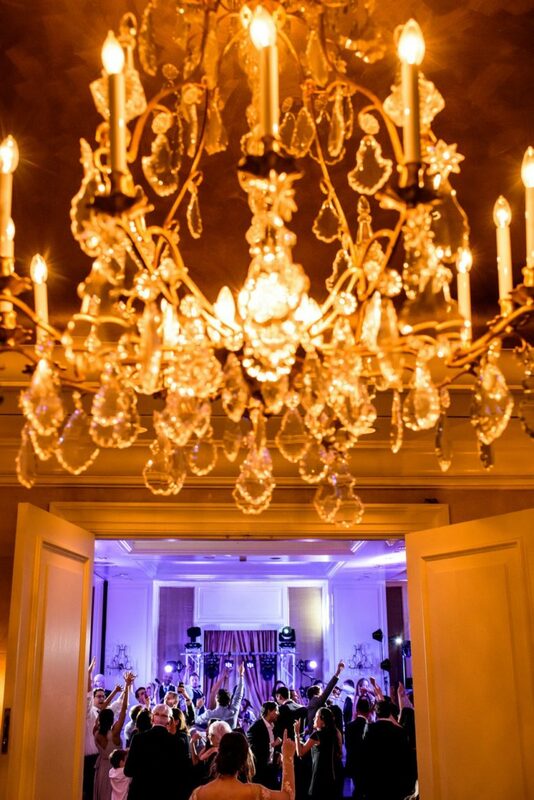 The ceremony was held in a lovely Catholic church, and the reception followed in one of Dallas’s most beautiful boutique hotels. 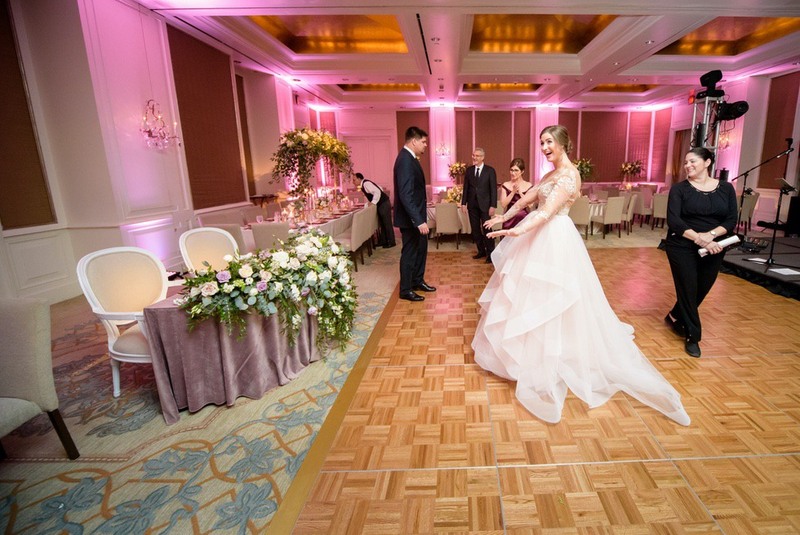 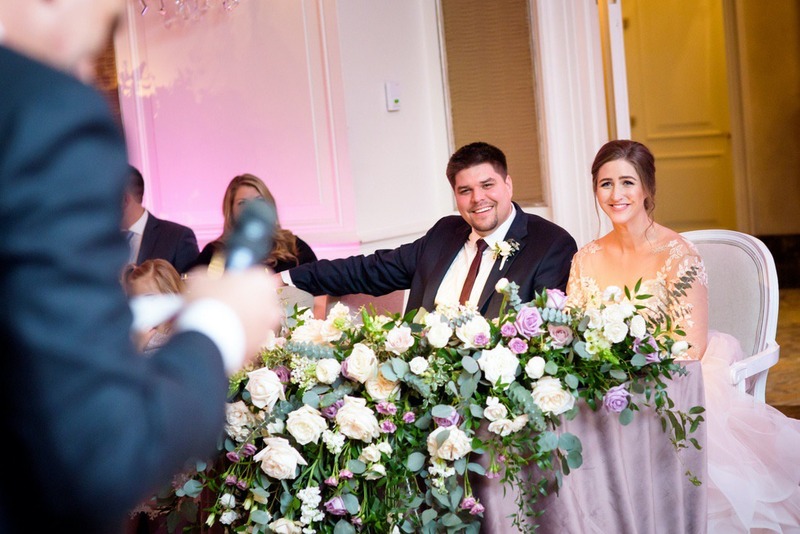 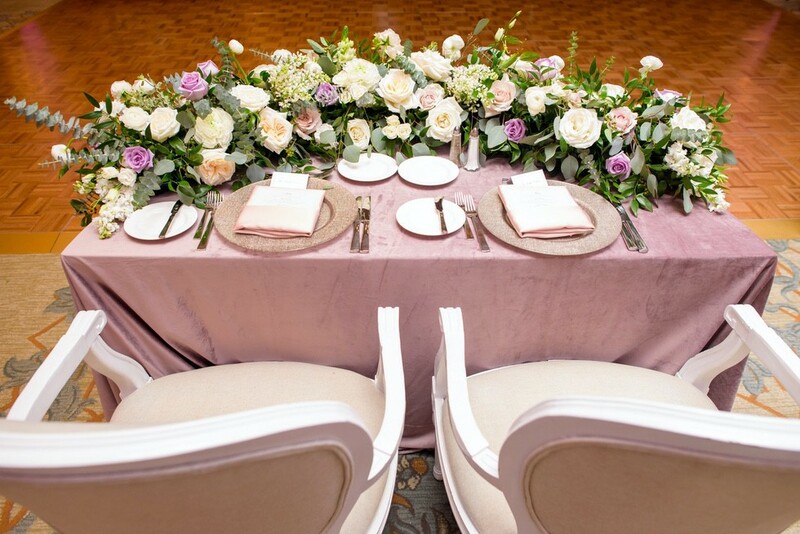 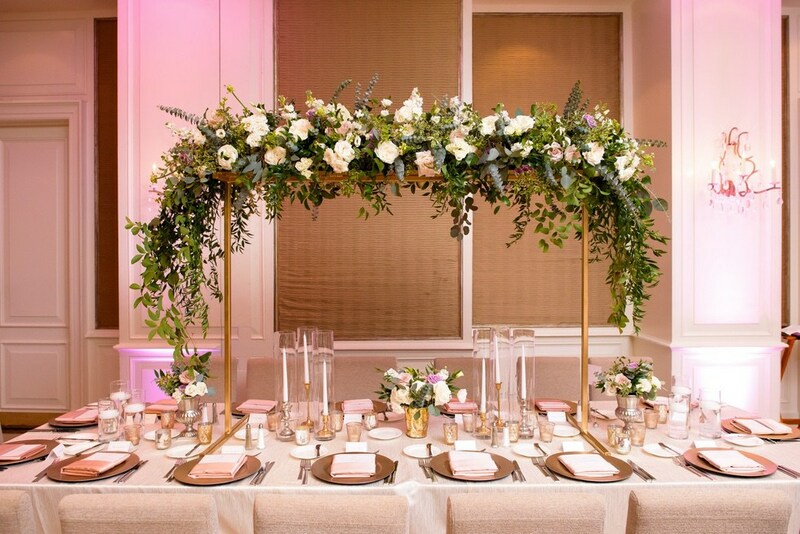 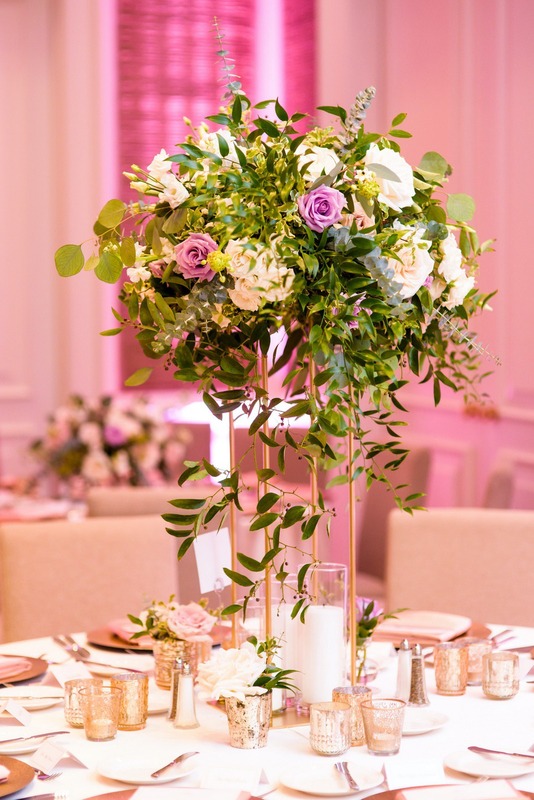 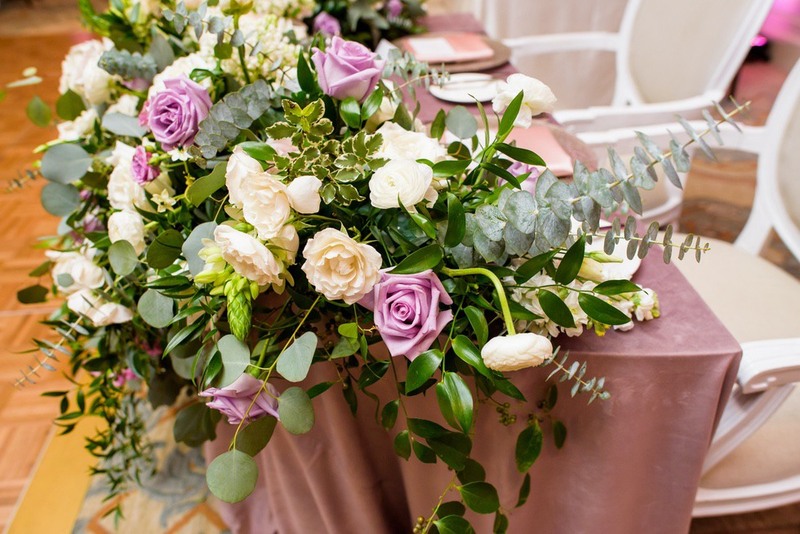 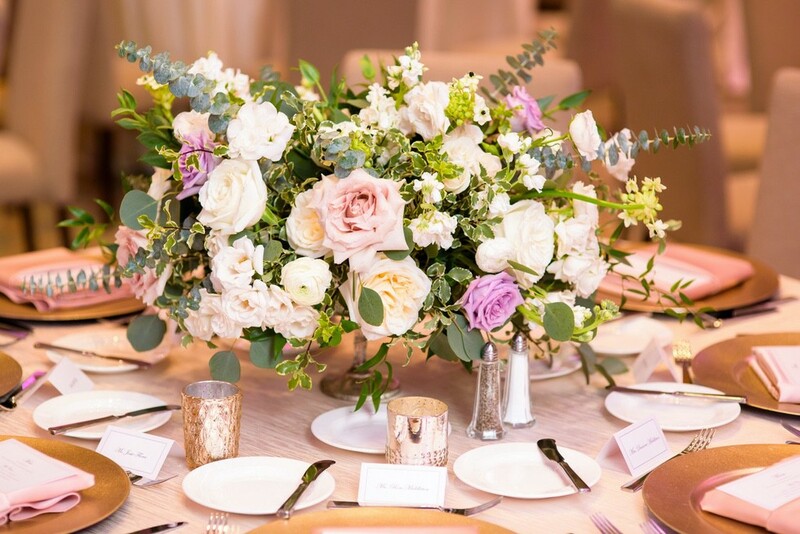 The ballroom tables featured incredible floral in shades of lavender, ivory, and greens and of varying heights. 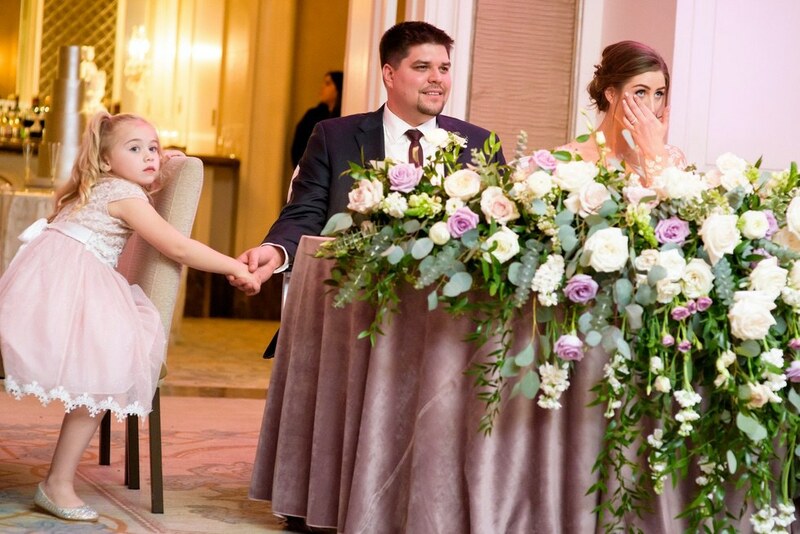 The Sweetheart Table floral was the most amazing table of the room! 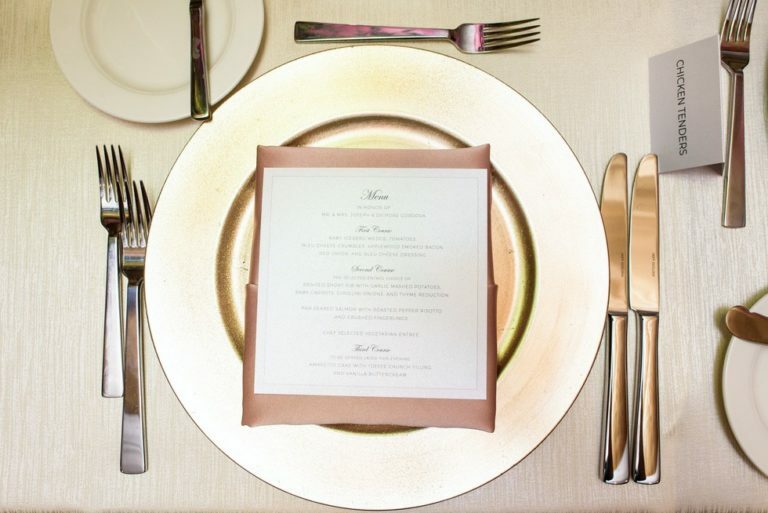 Ivory and blush linens along with glittery champagne chargers finished off the tables. 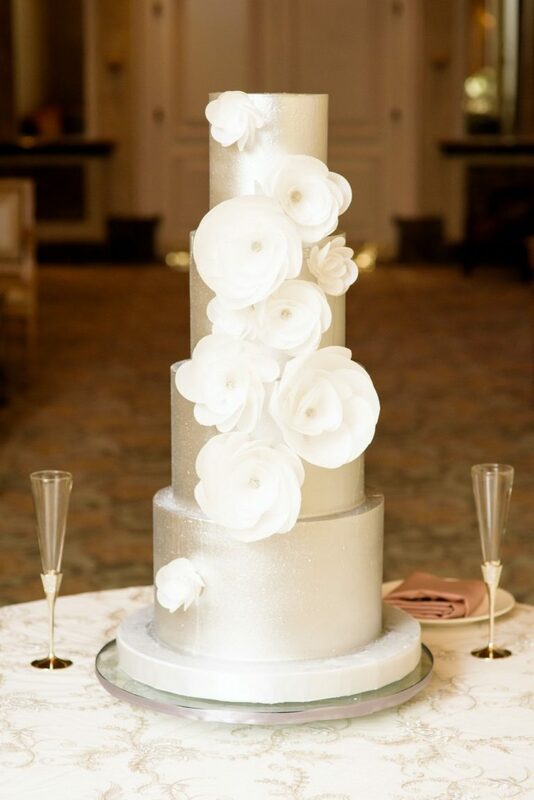 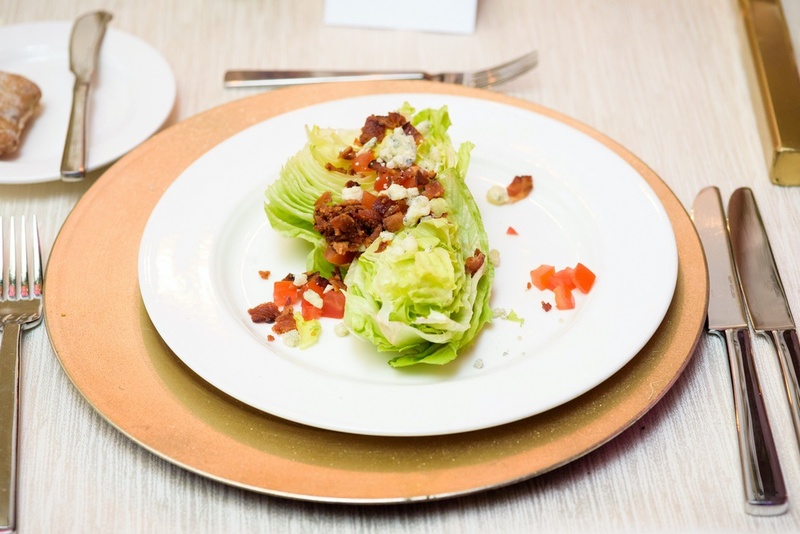 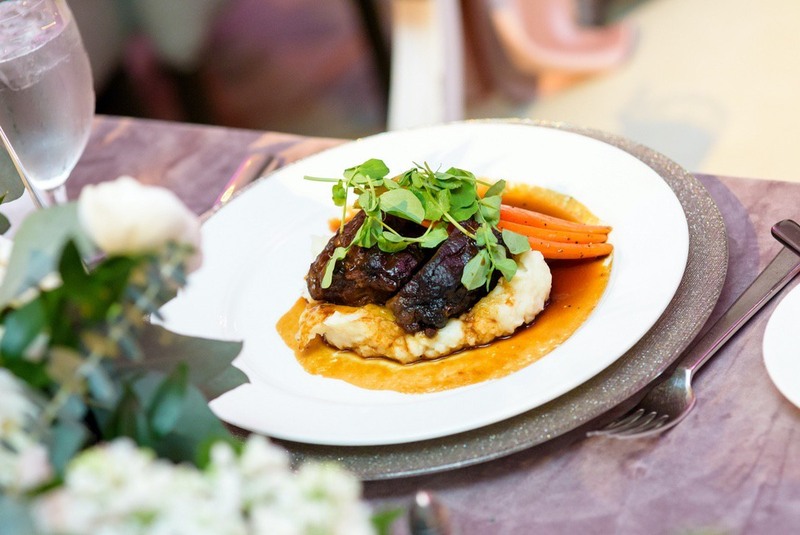 Dinner was a delicious plated meal followed by a chic and elegantly designed wedding cake. 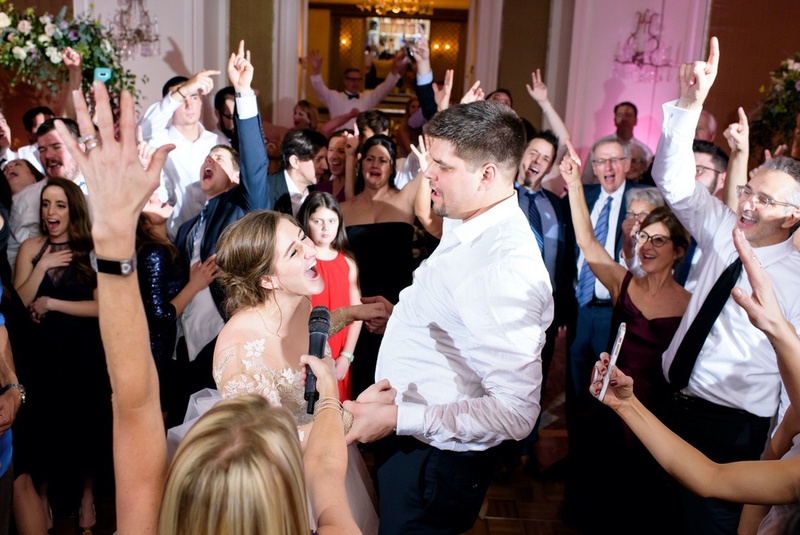 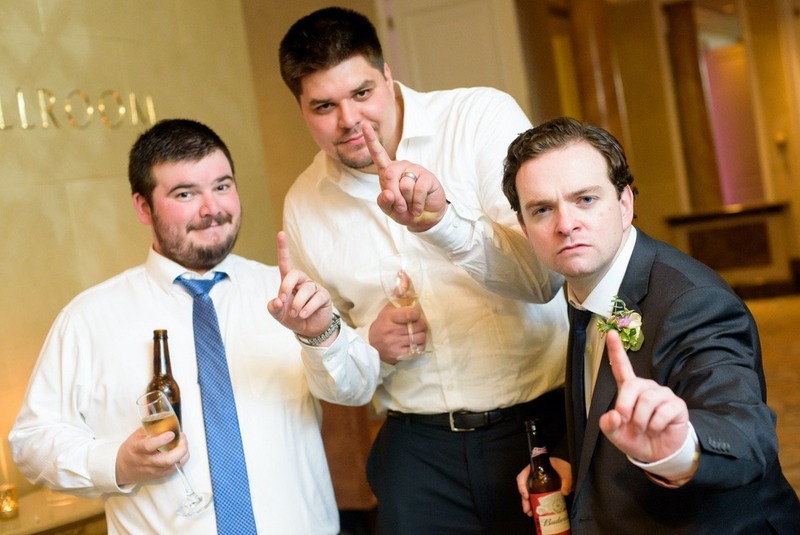 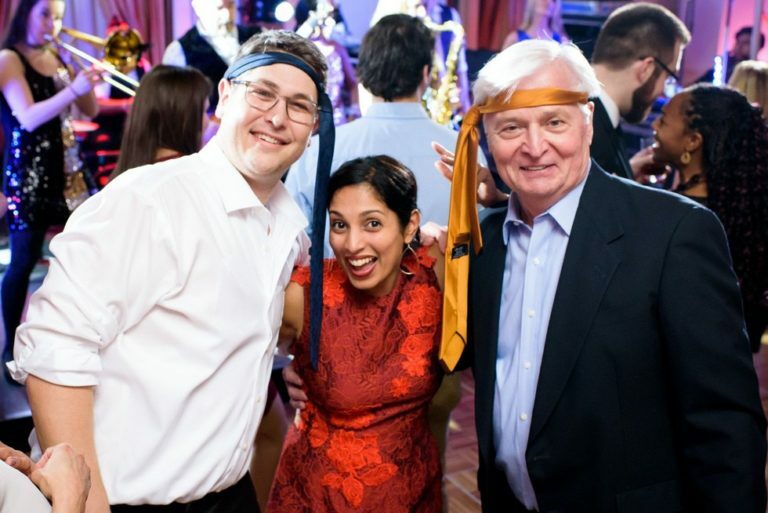 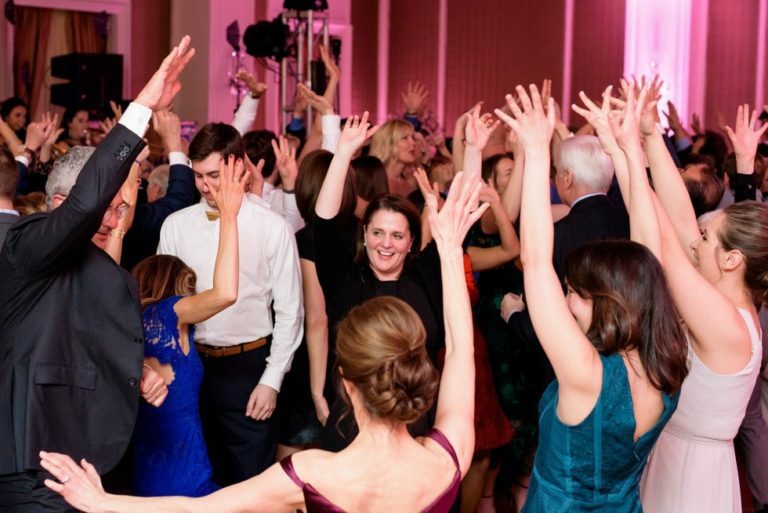 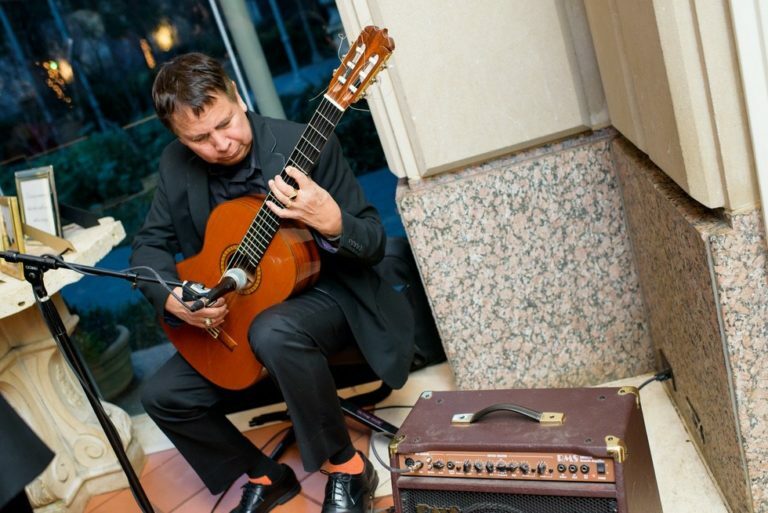 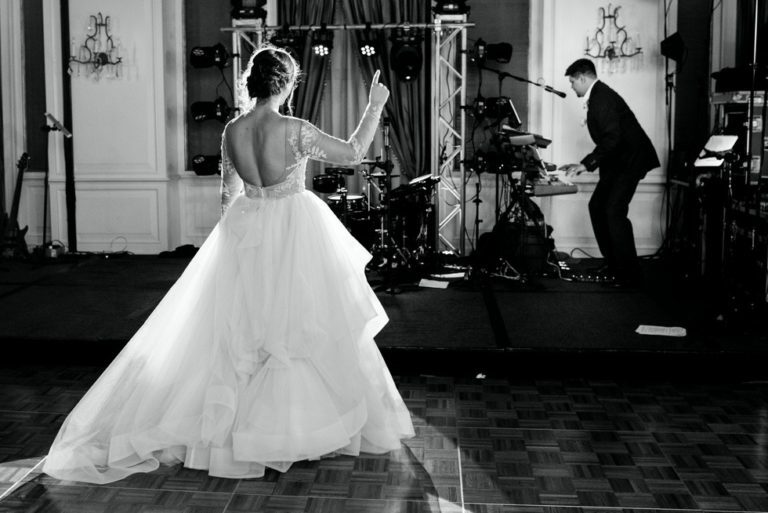 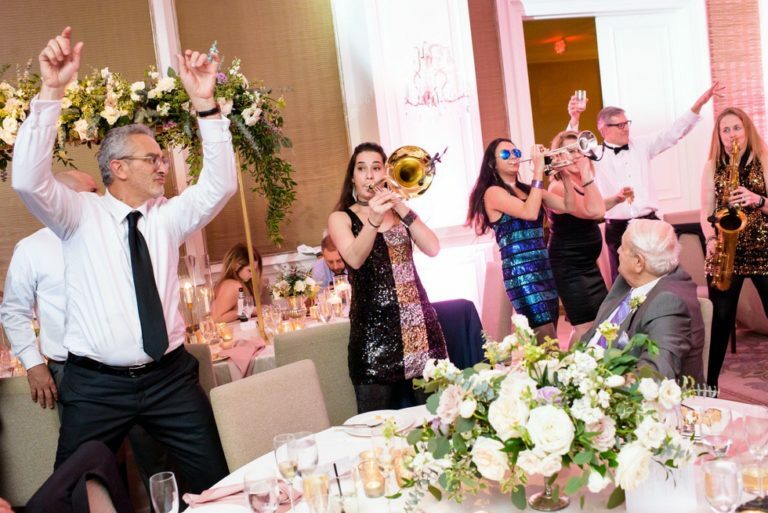 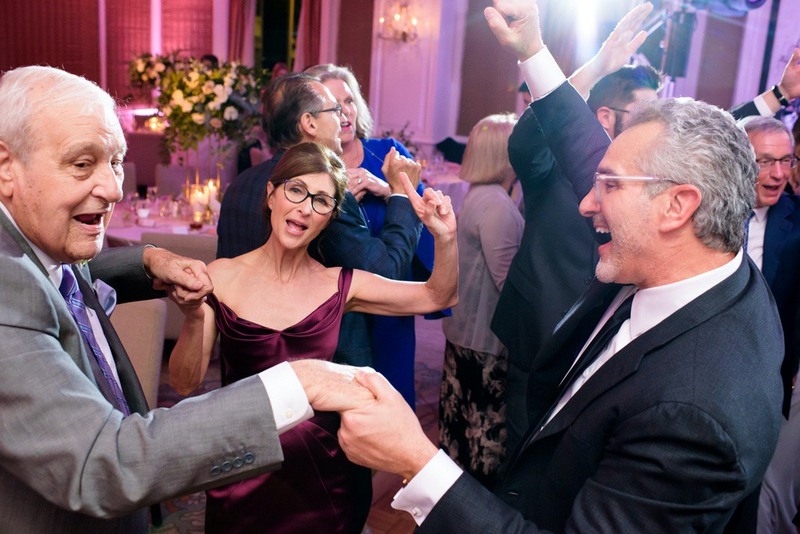 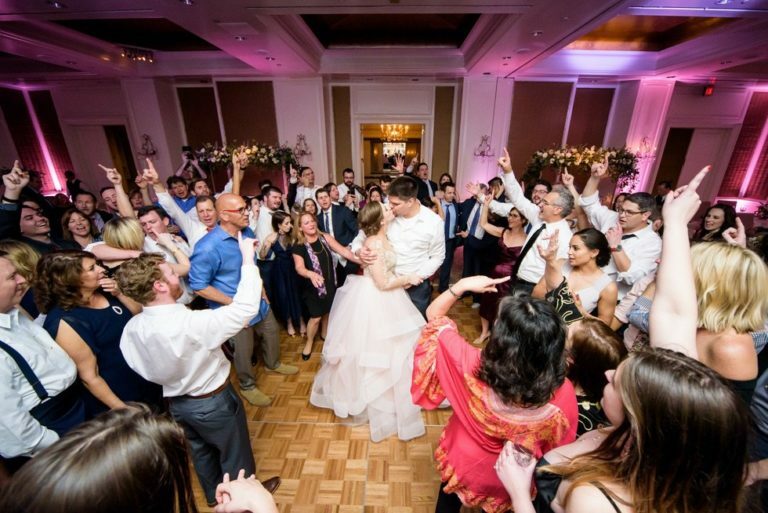 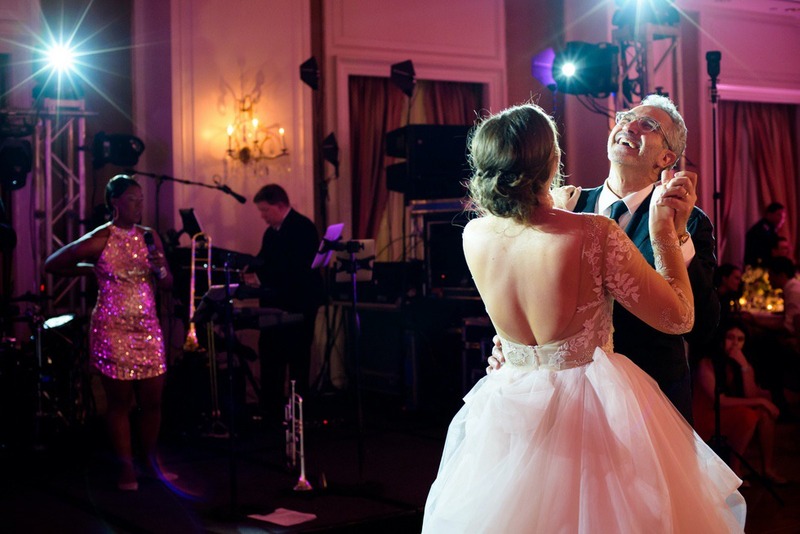 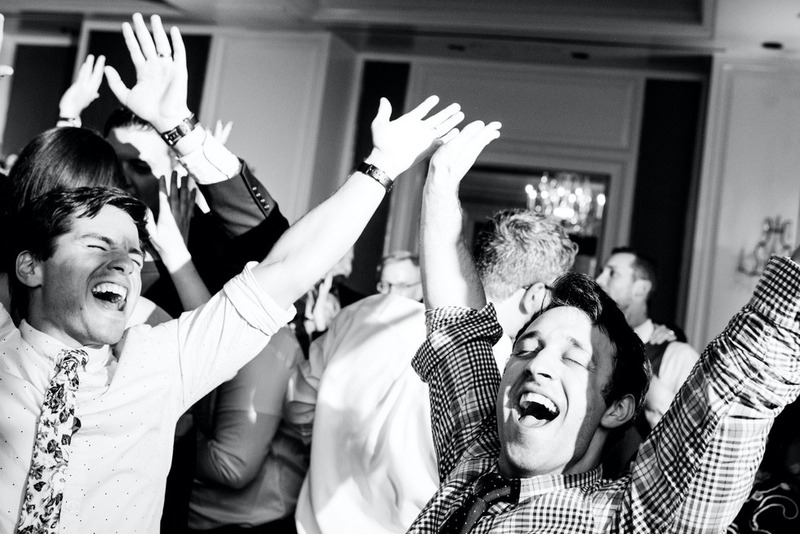 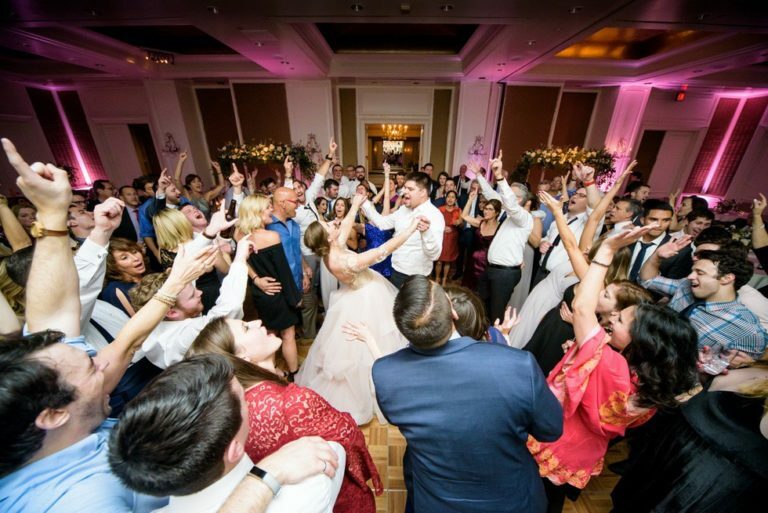 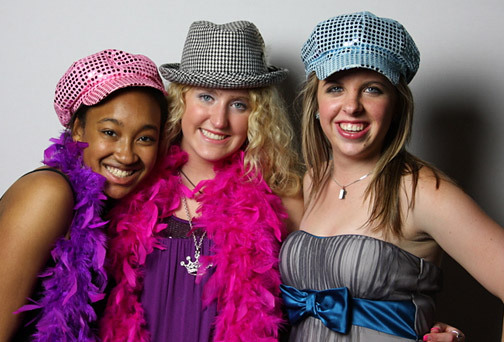 An awesome party band provided an amazing party as guests had a blast on the dance floor. 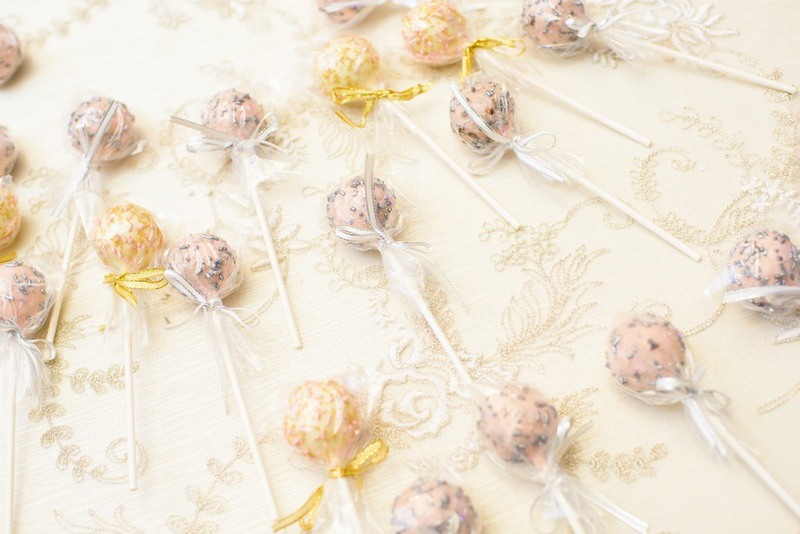 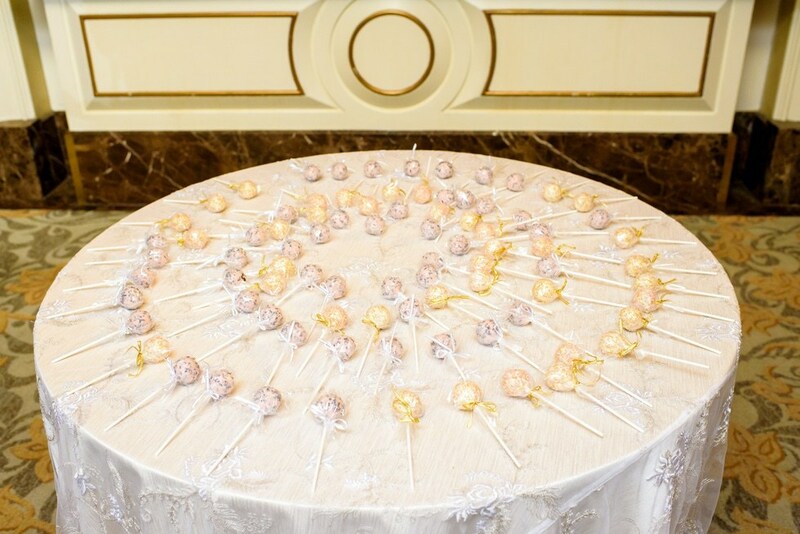 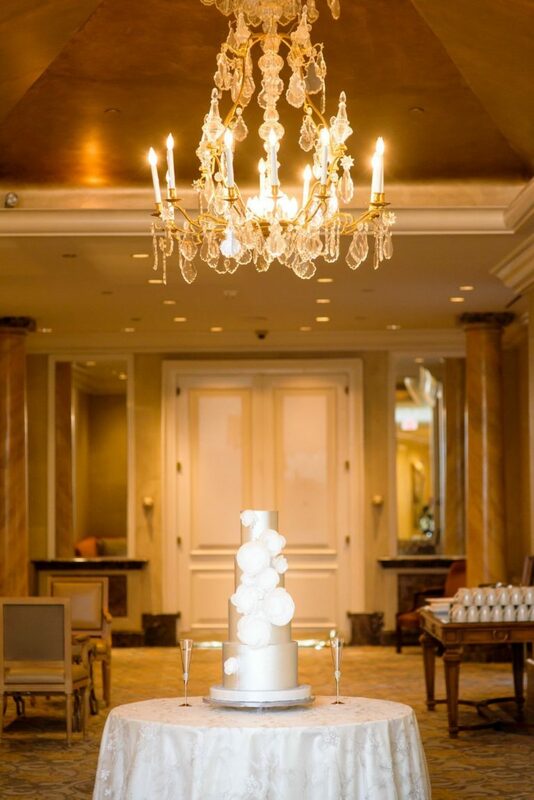 Designer cake balls served as our favor, and a sparkler send-off ended the night in style. 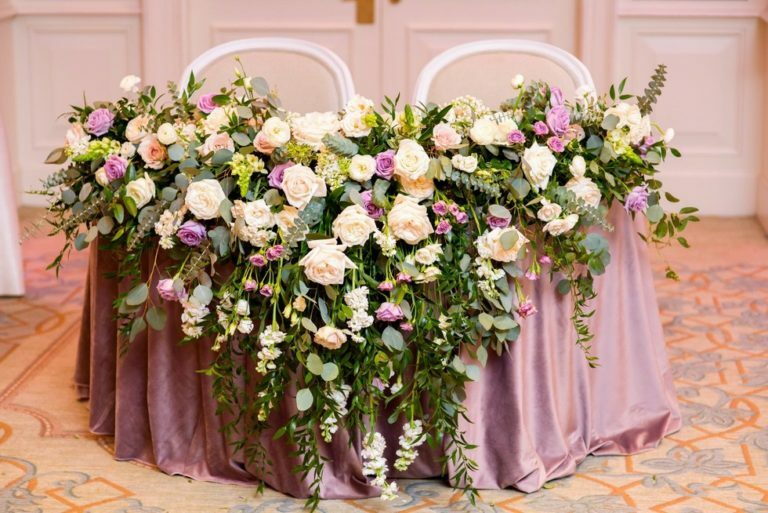 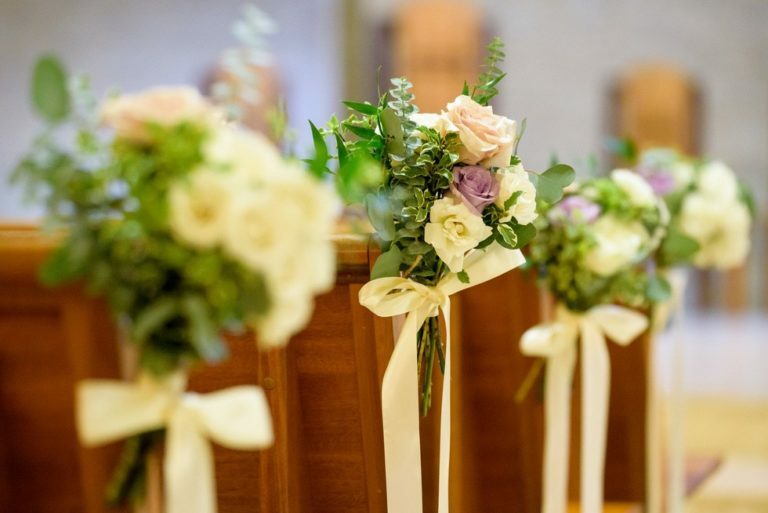 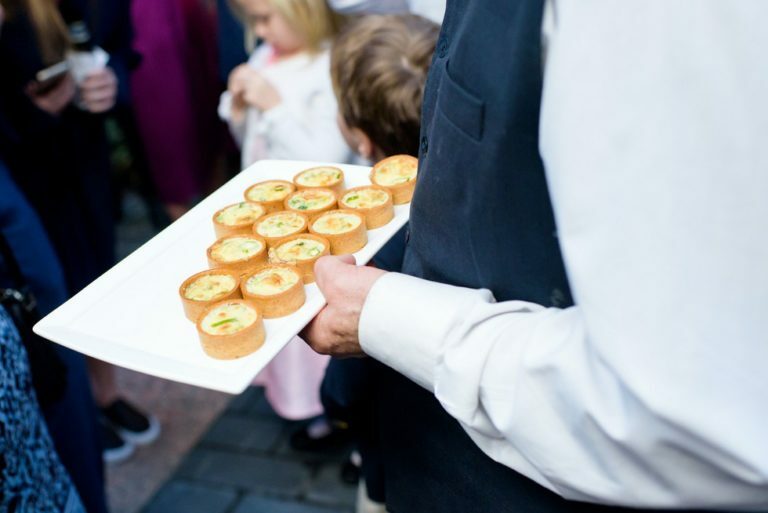 This entry was posted in Weddings and tagged & White Wedding, All Saints Catholic Church Wedding, Green, Hotel Crescent Court Wedding, Lavender. Bookmark the permalink.